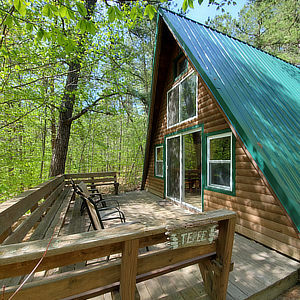 Sometimes you need to get away from all the hustle and bustle and just be. 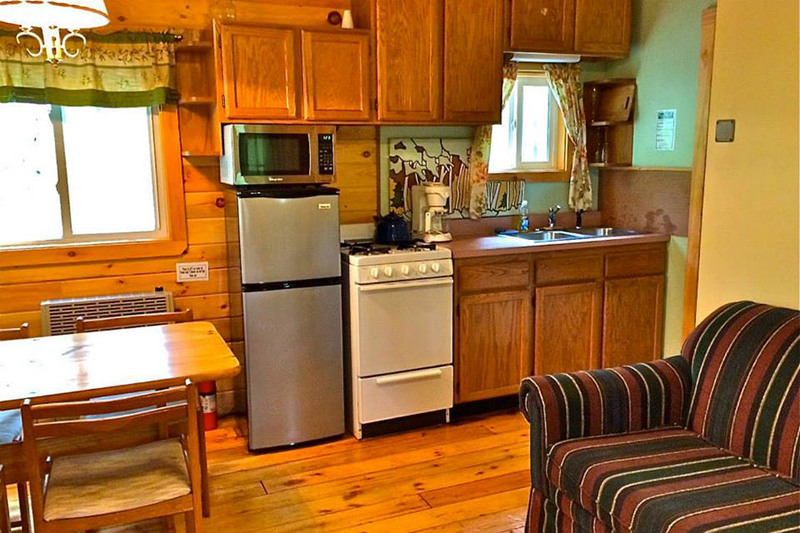 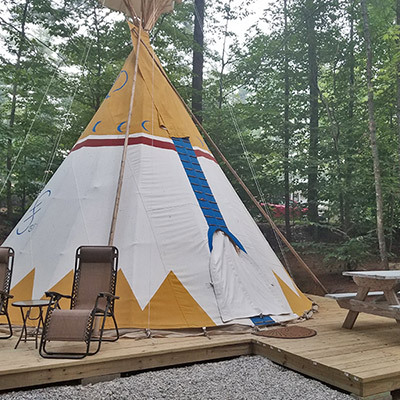 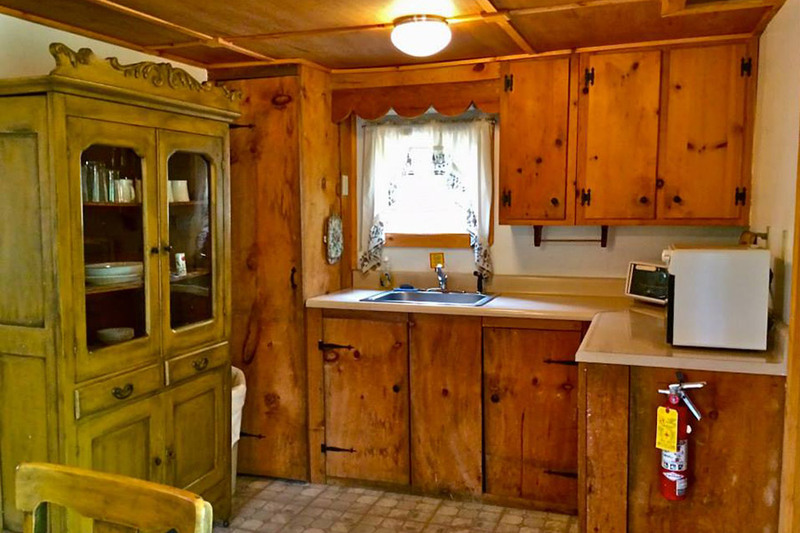 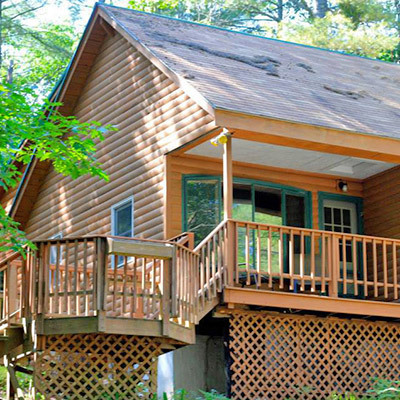 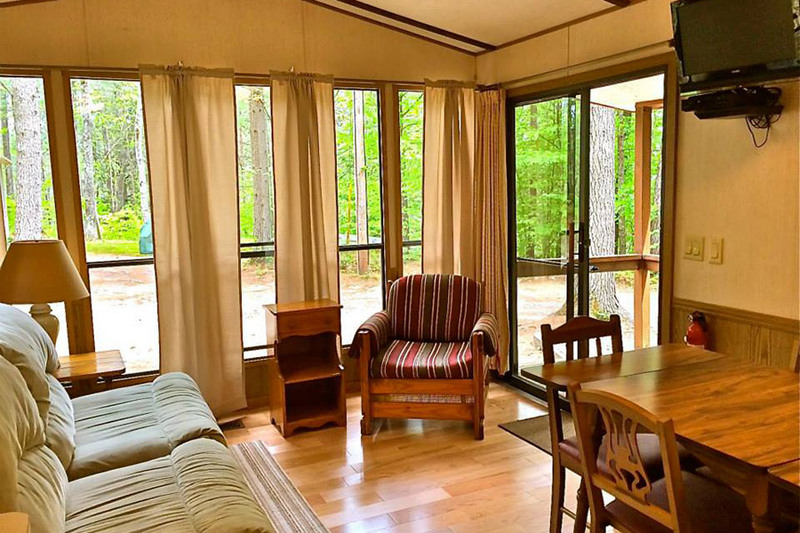 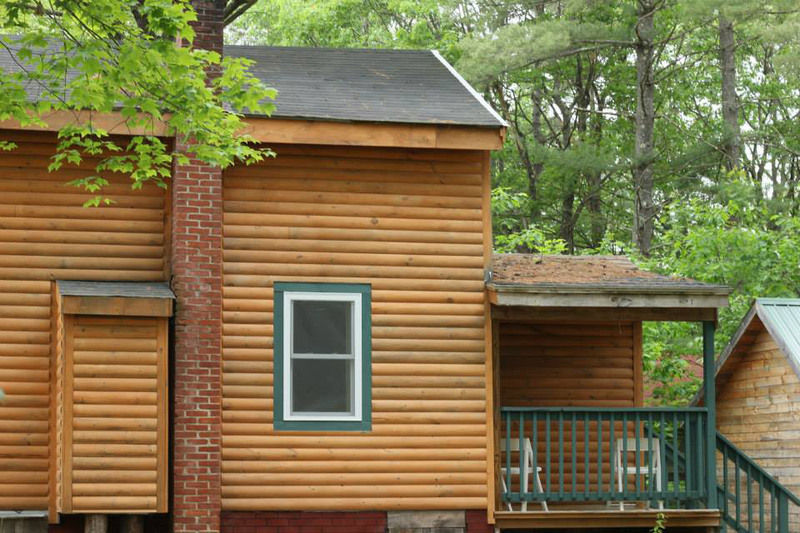 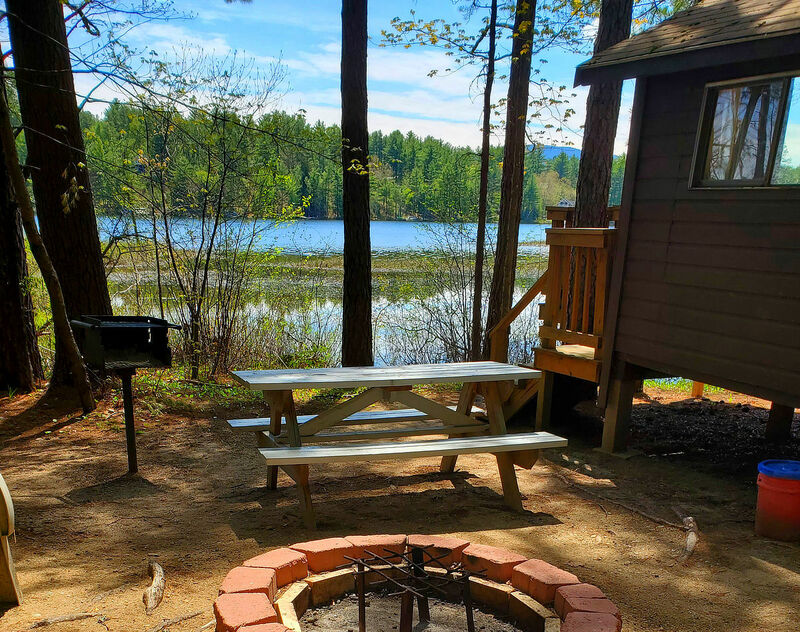 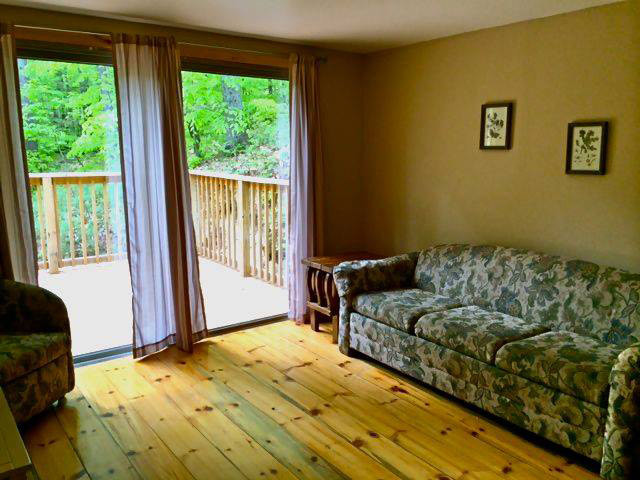 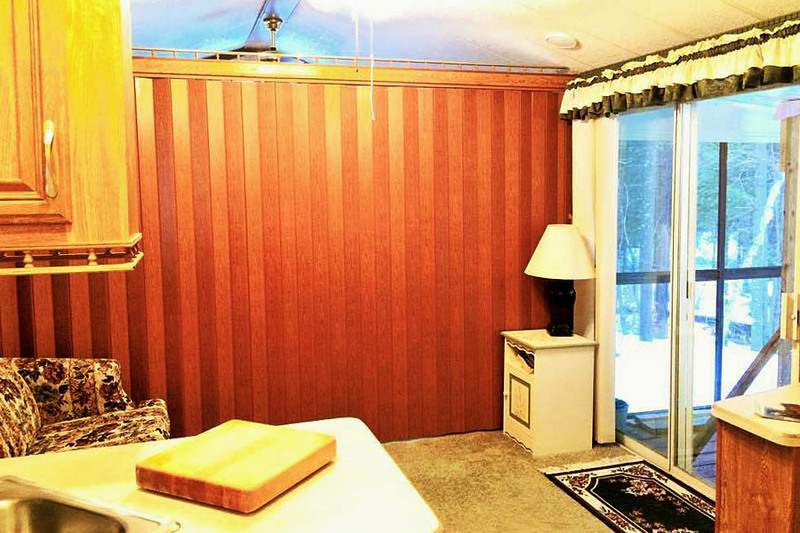 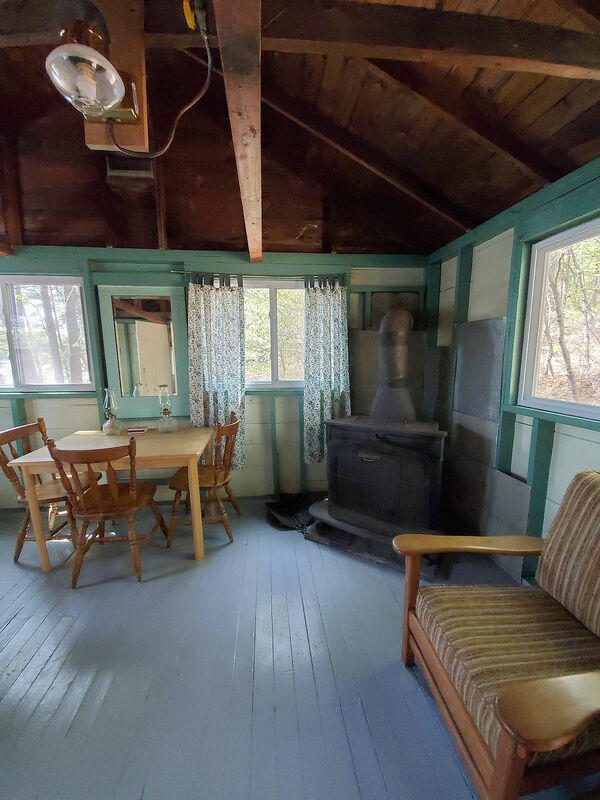 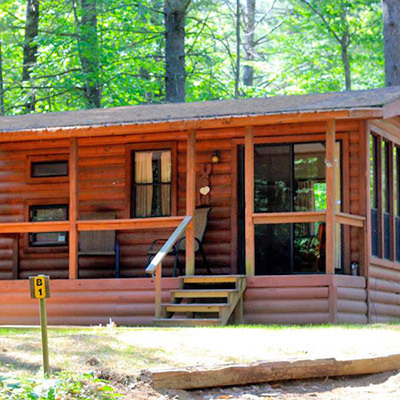 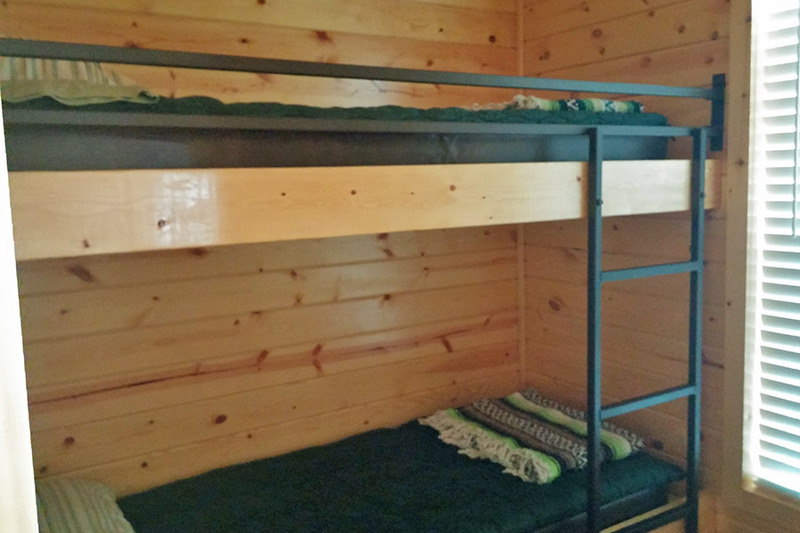 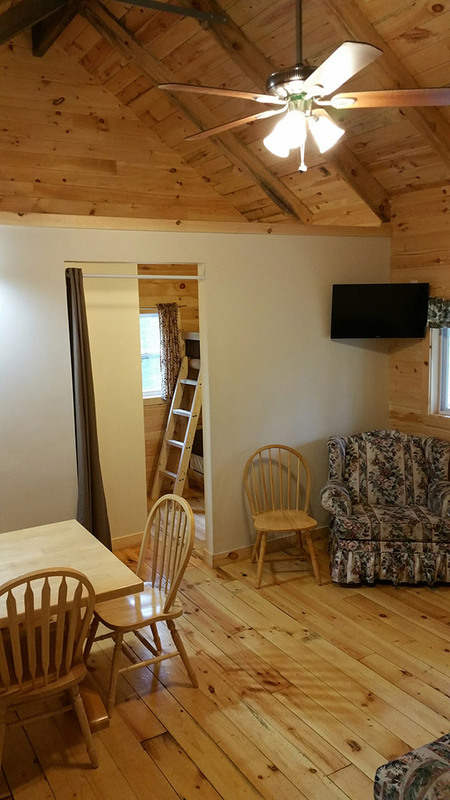 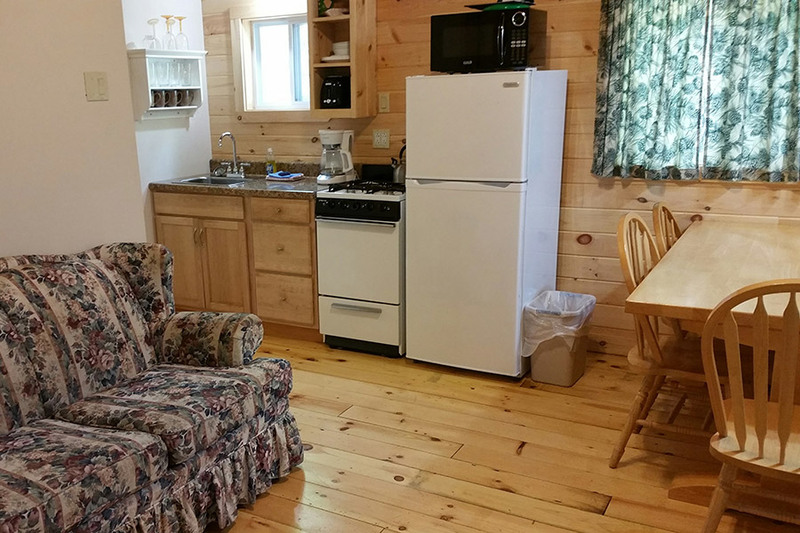 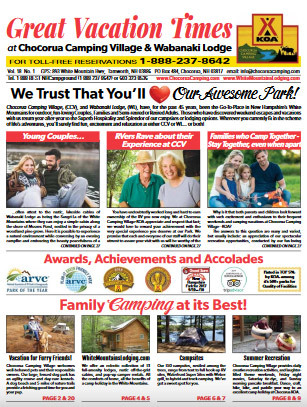 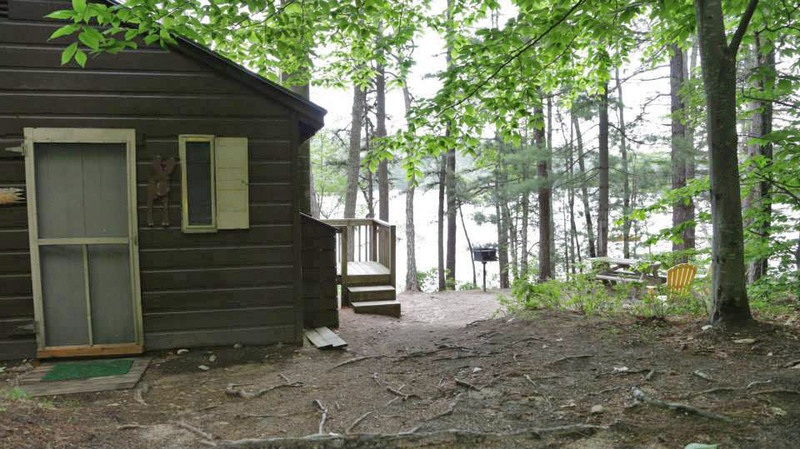 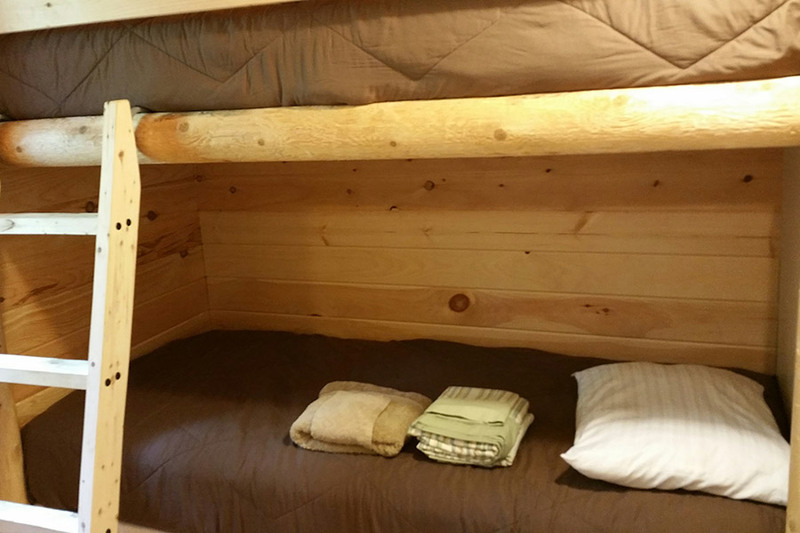 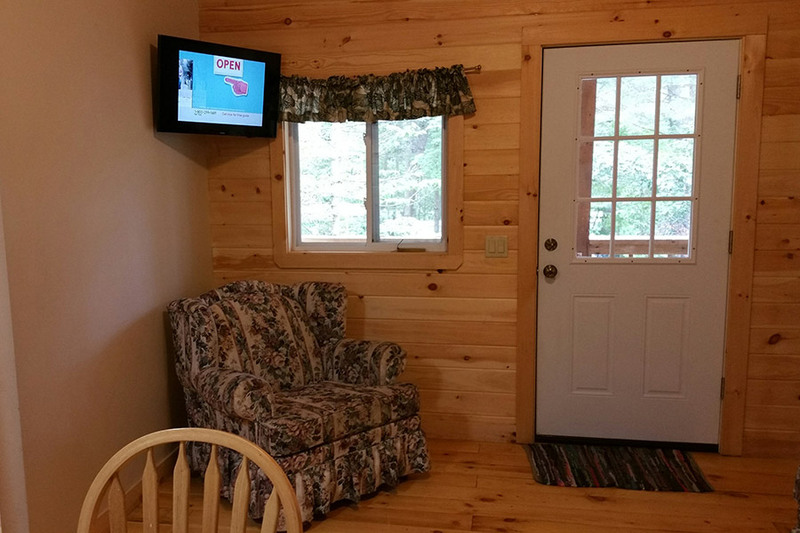 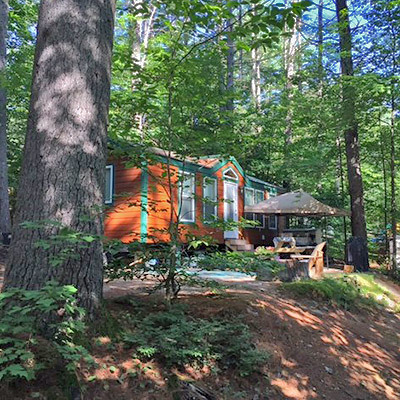 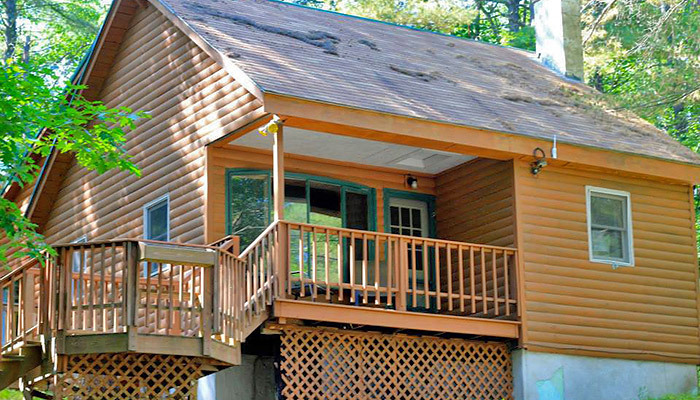 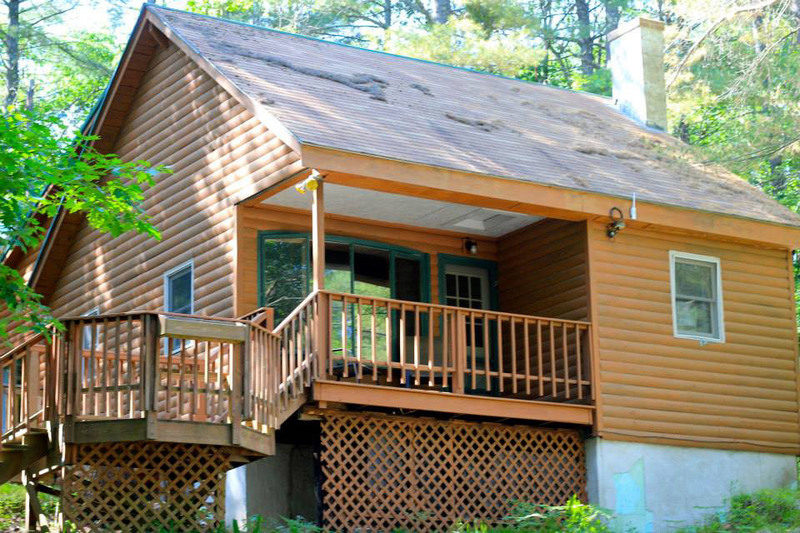 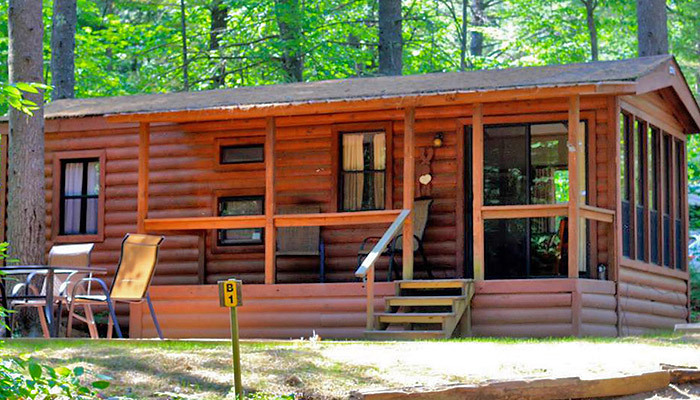 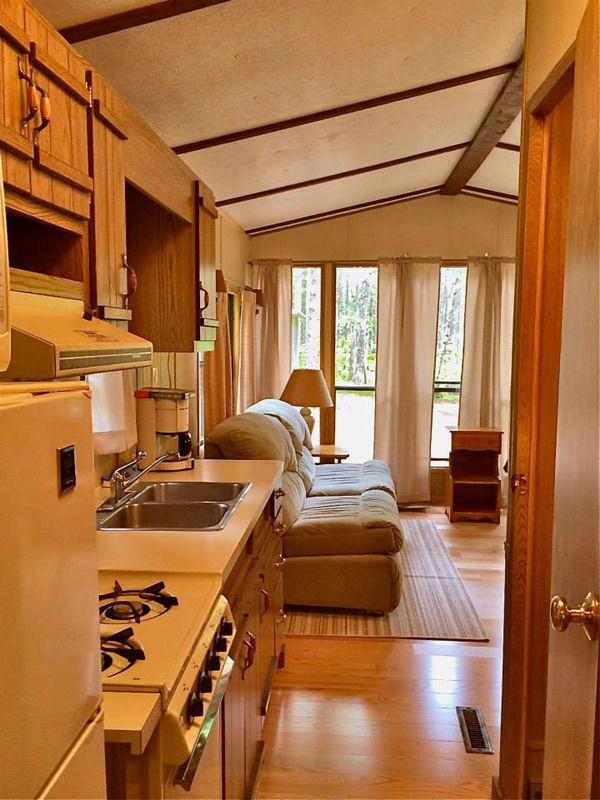 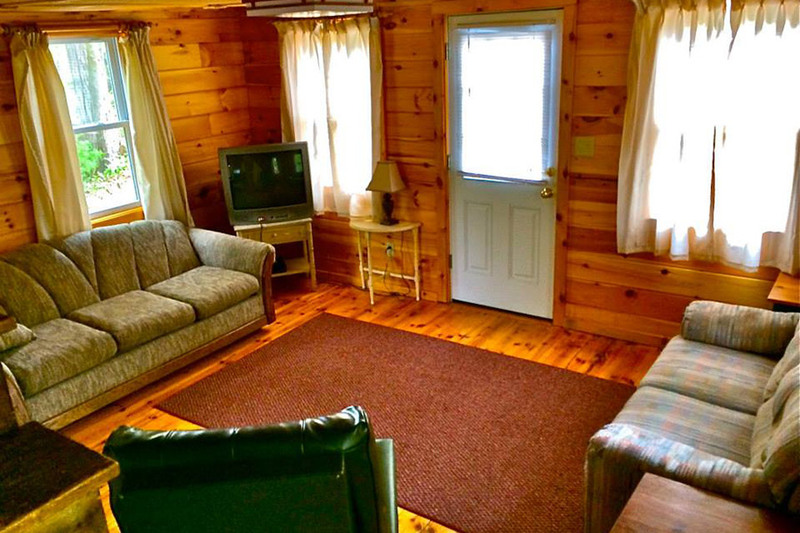 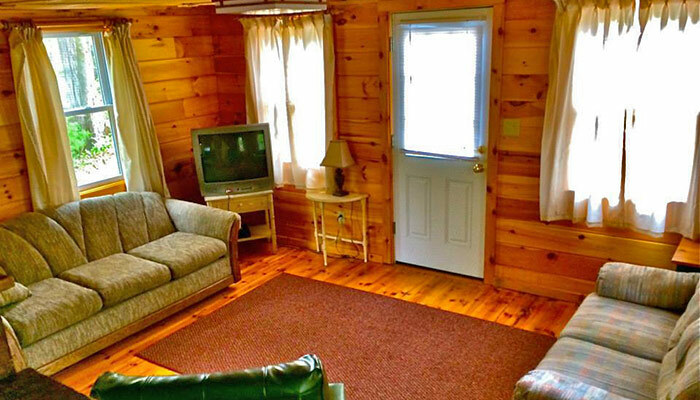 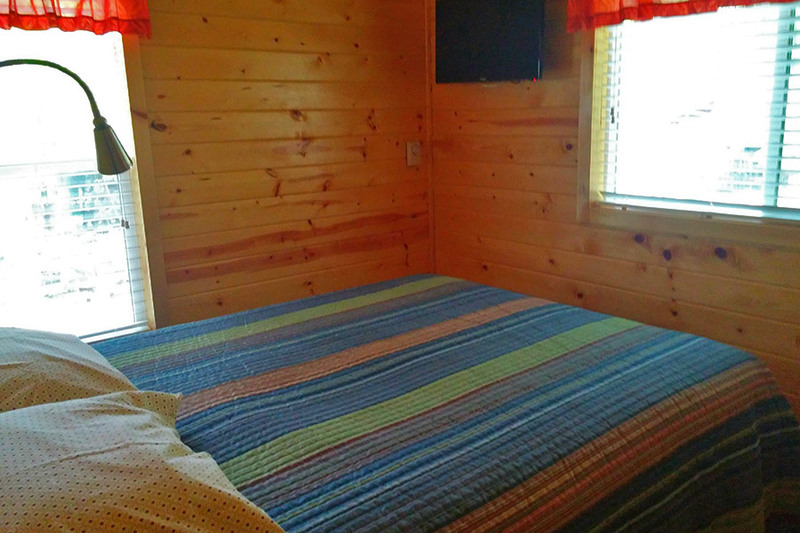 When you desire quality time with your family, plan a summer vacation with ease by reserving a Deluxe Cabin at Chocorua Camping Village KOA Holiday Park. 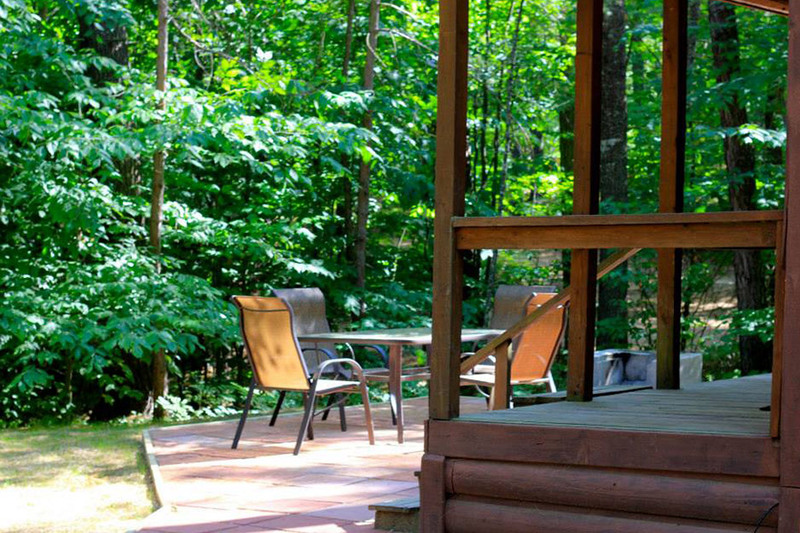 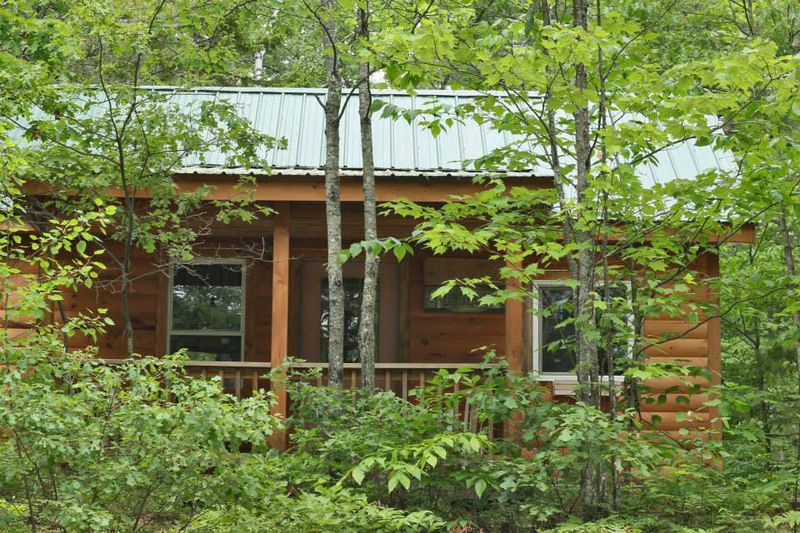 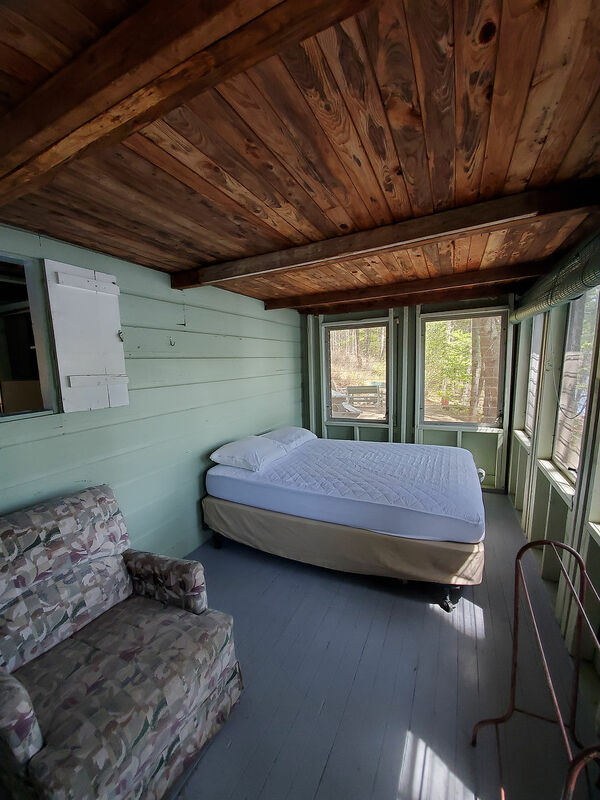 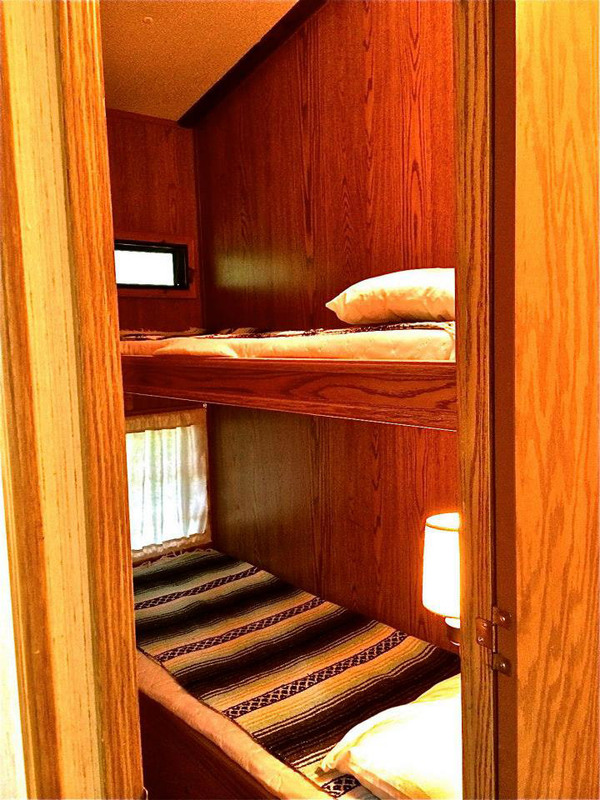 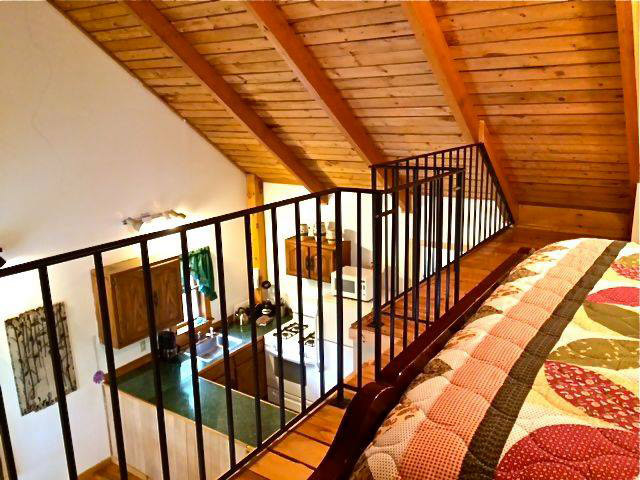 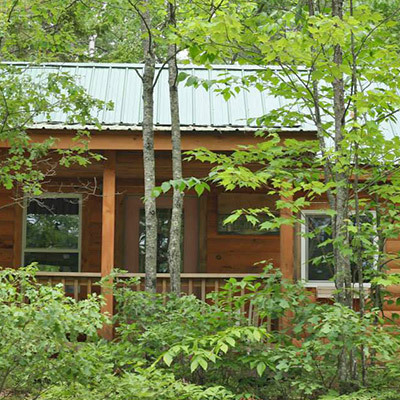 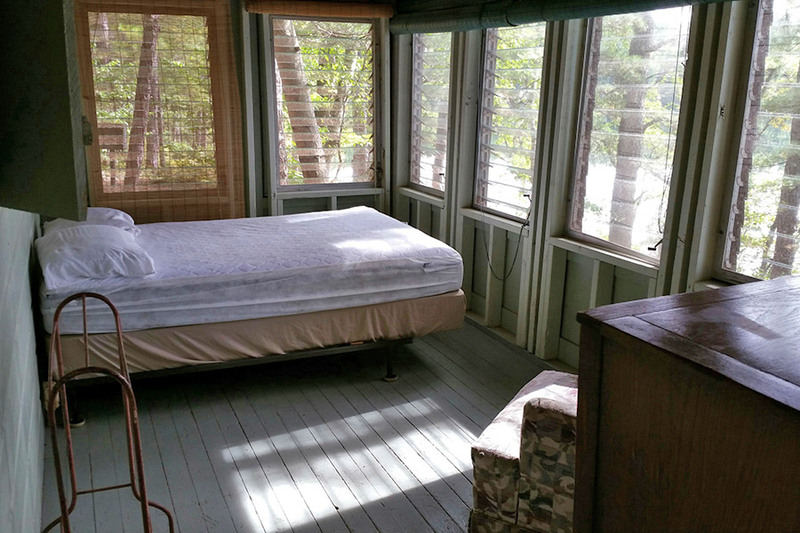 Deluxe Cabin accommodations allow you to enjoy communing with nature, but with the comforts of home. 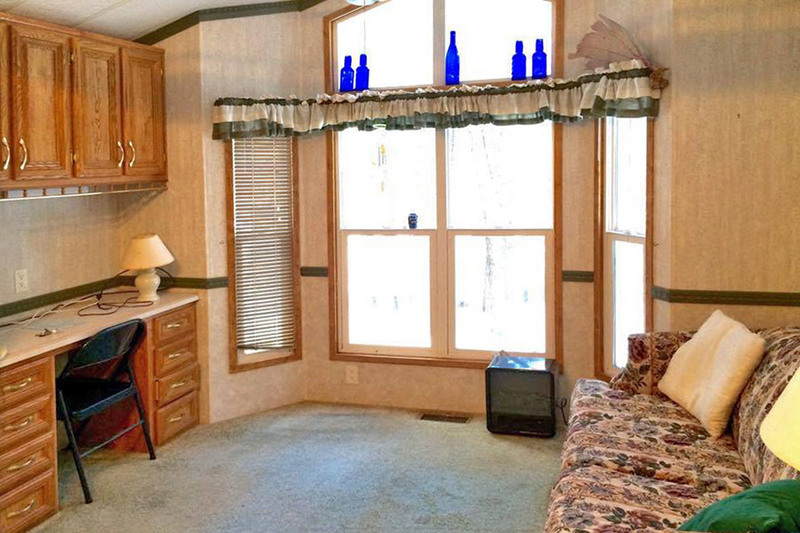 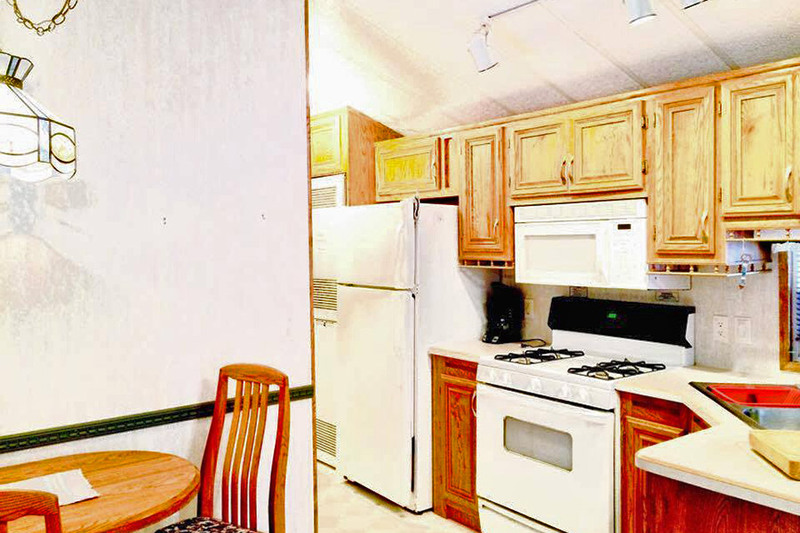 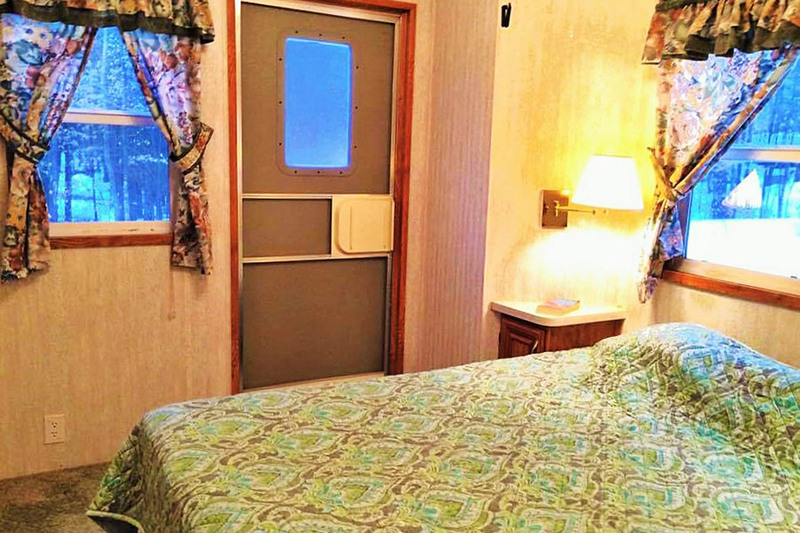 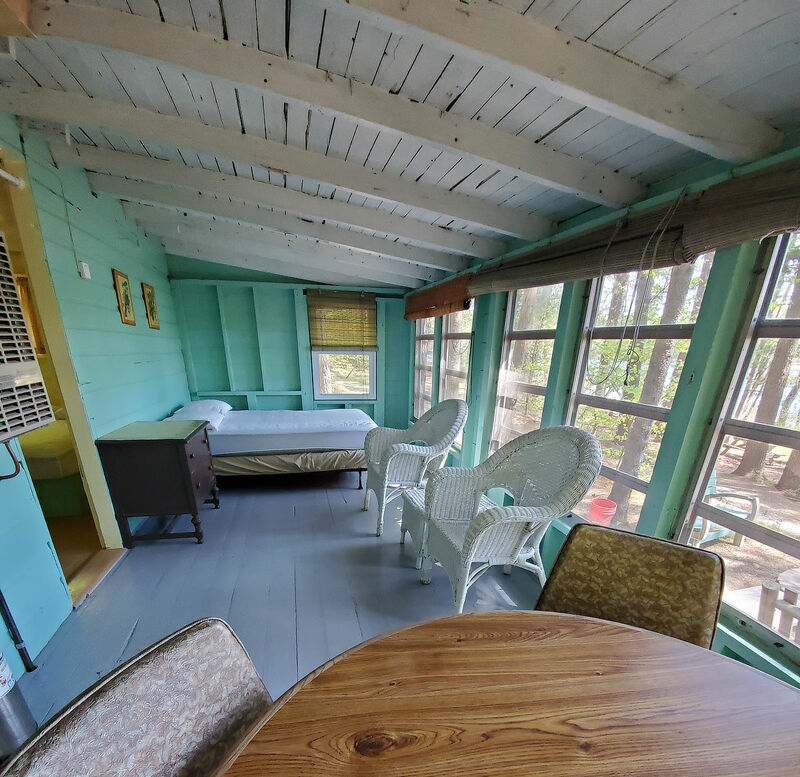 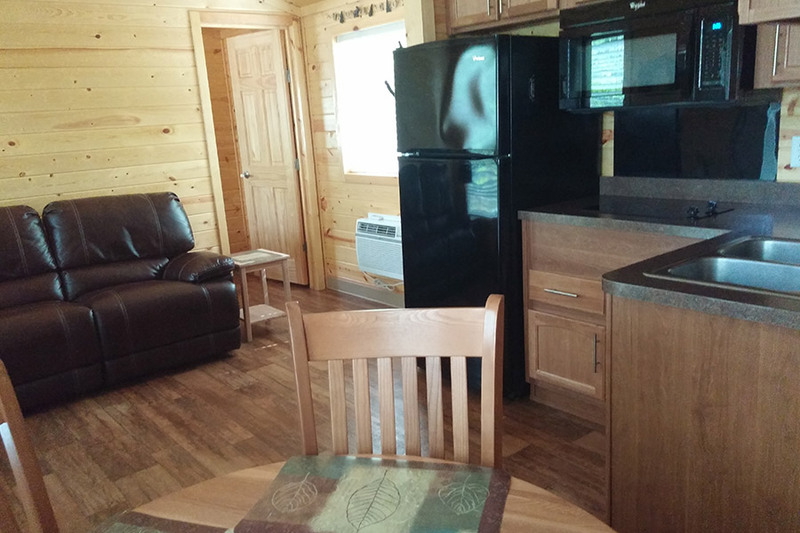 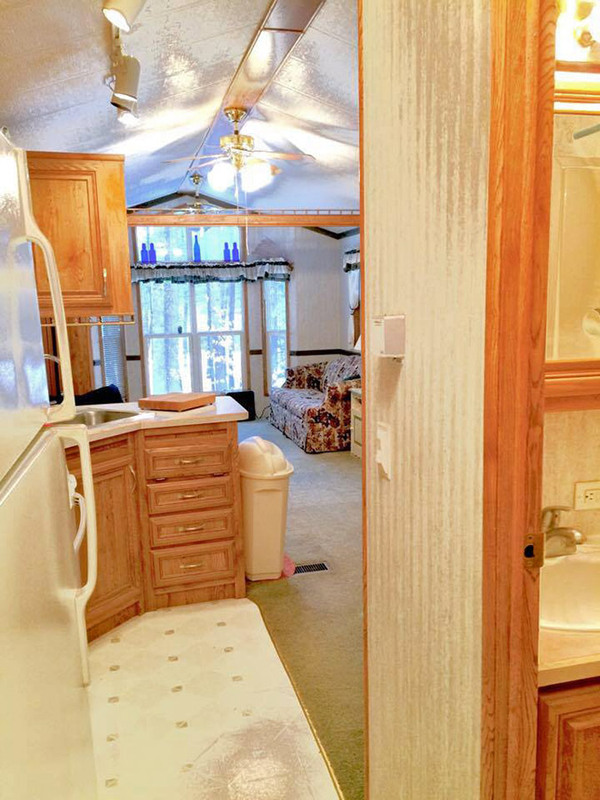 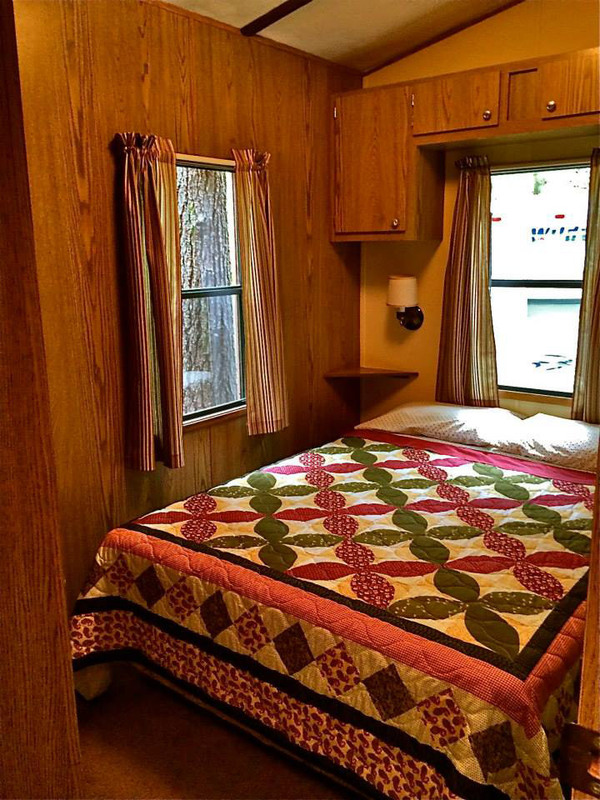 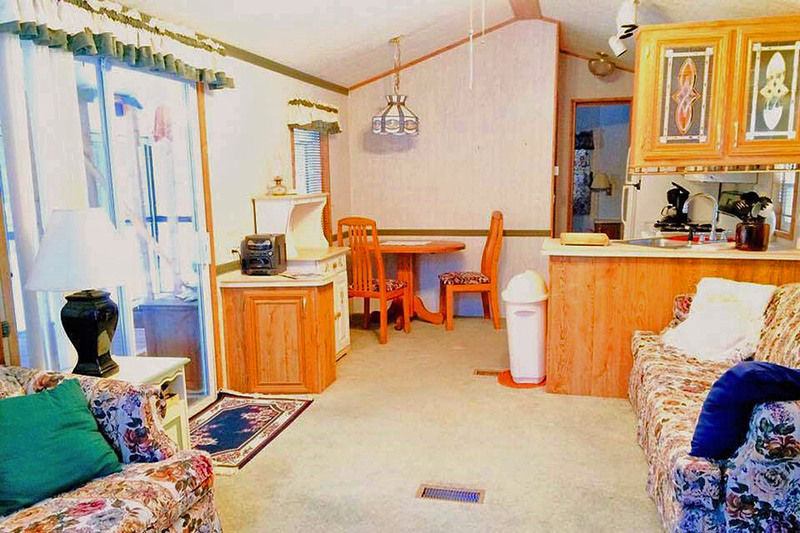 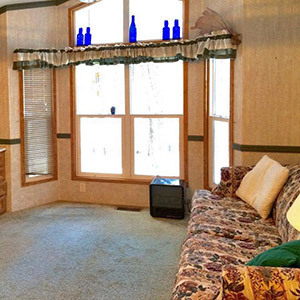 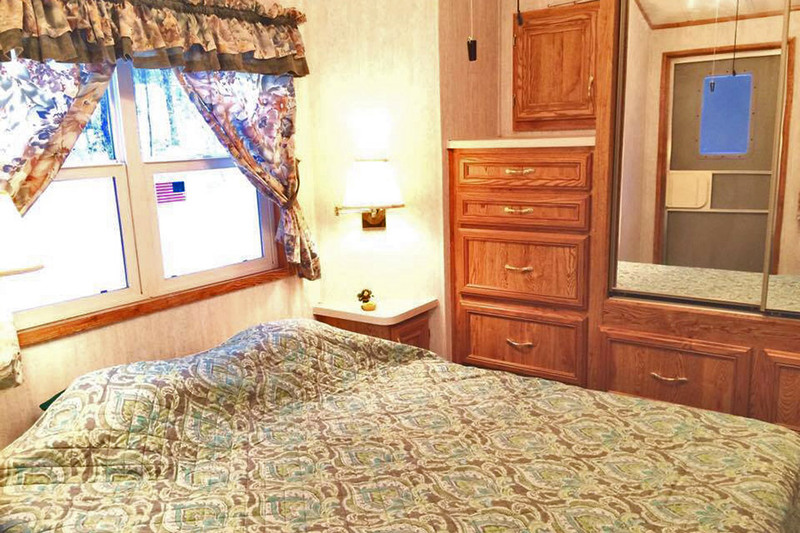 All Deluxe Cabins include: WiFi, Cable, flat-screen TV, A.C. &/or Heat, Full Kitchen, Dining Area, Linens & Blankets, Outdoor Patio with fireplace, patio furniture & gas grill. 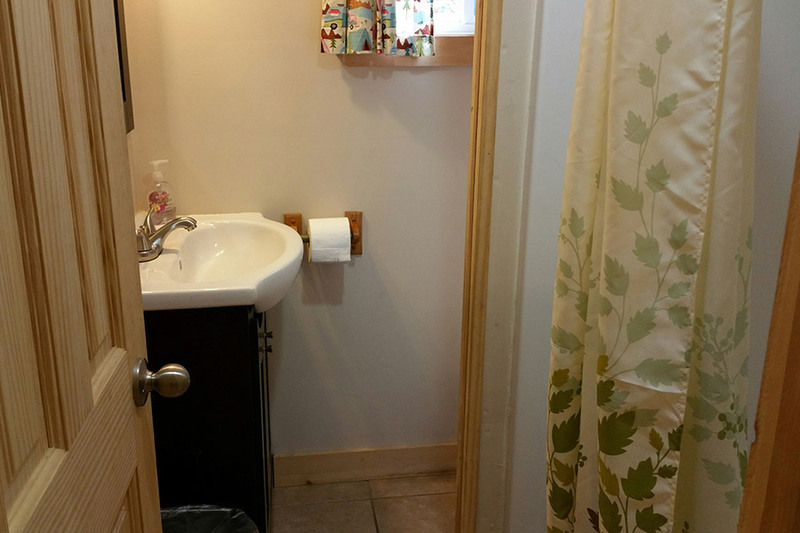 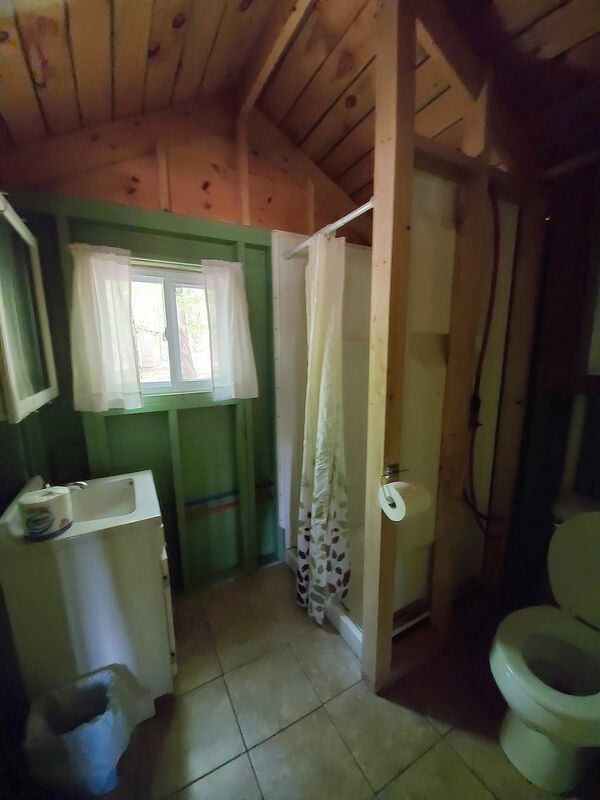 Bathroom, with shower or tub and toiletries. 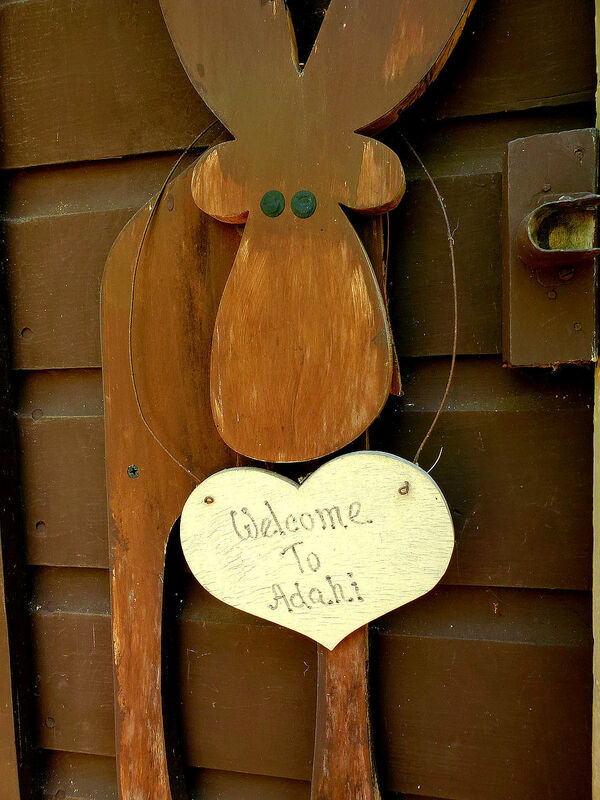 All welcome pets ($). 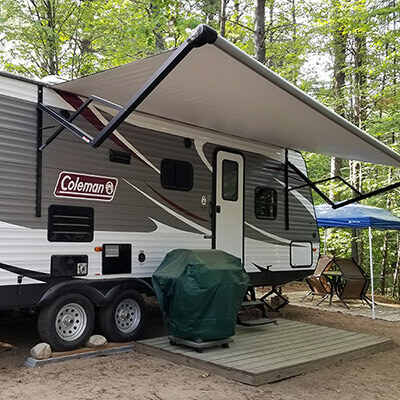 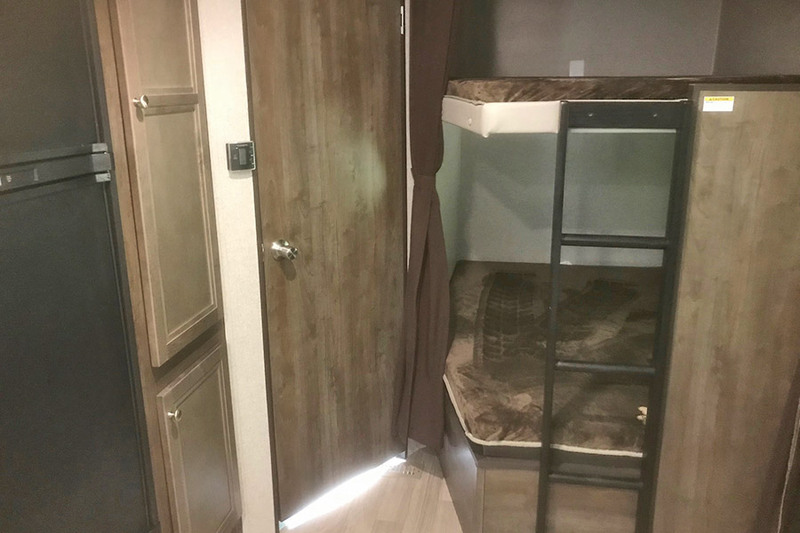 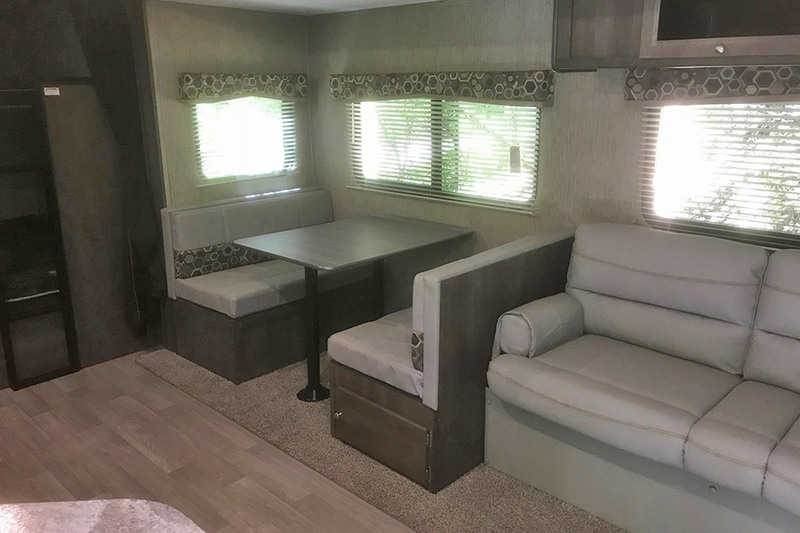 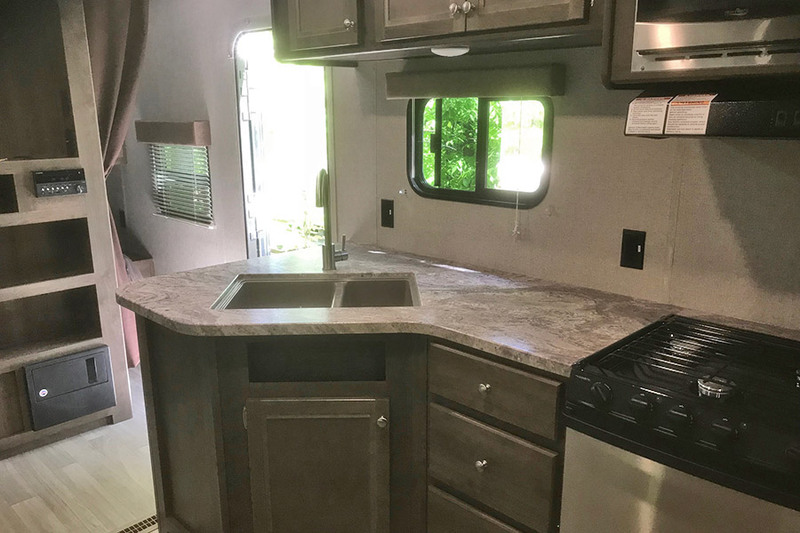 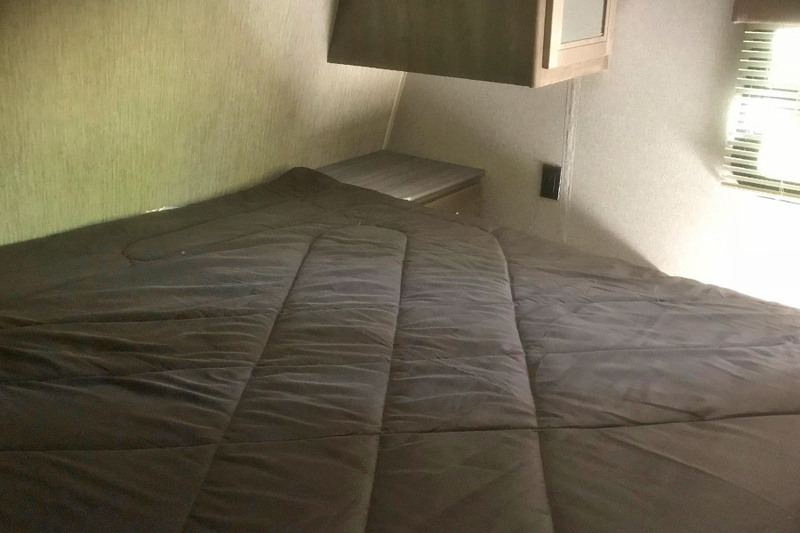 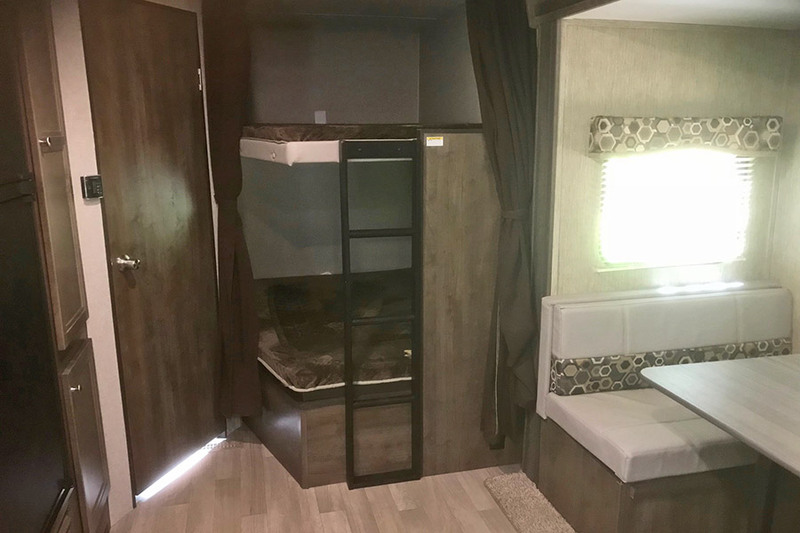 Our Camper (RV) rentals give you and your family a chance to experience the best of the recreation vehicle life style without the purchase price or having to haul it to the campground. 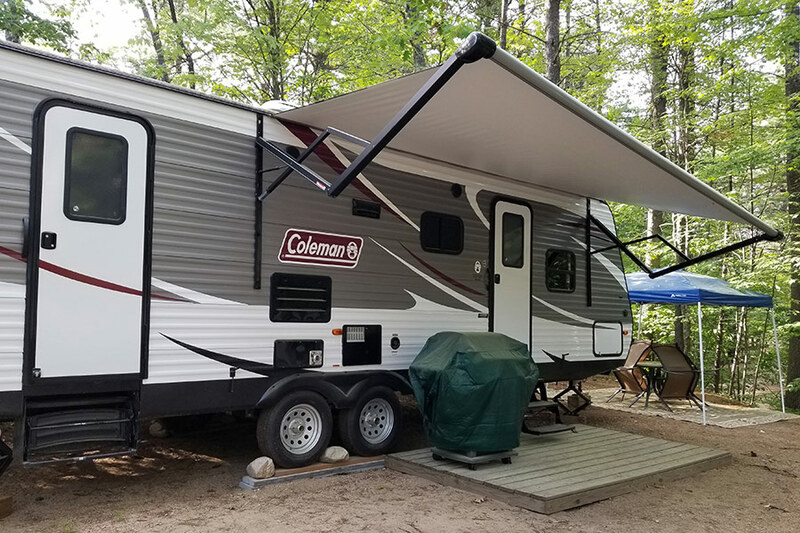 A great way to enjoy the campground with your family, in true camper style. 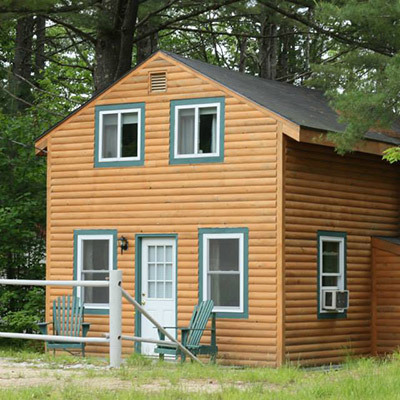 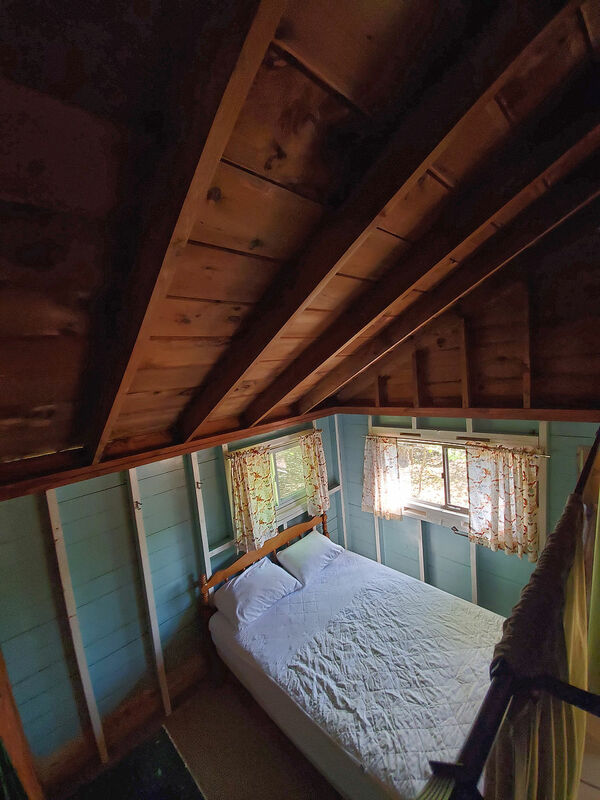 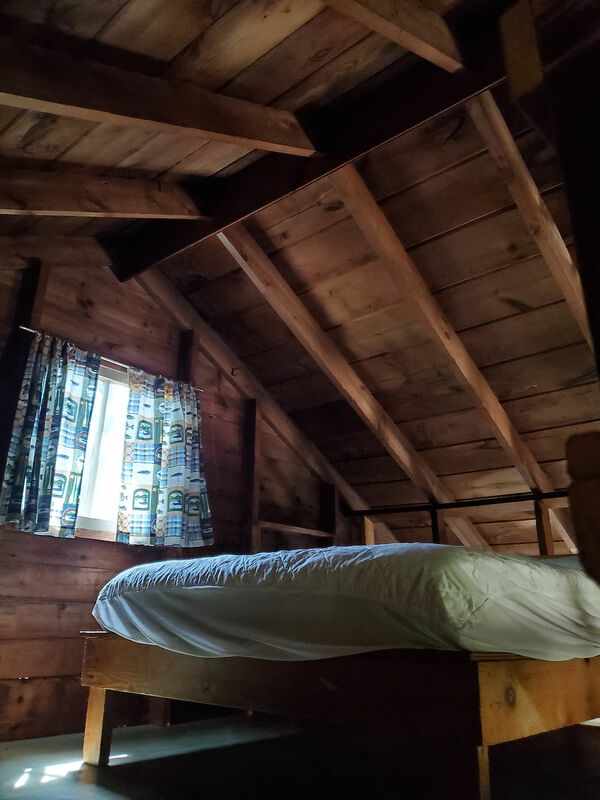 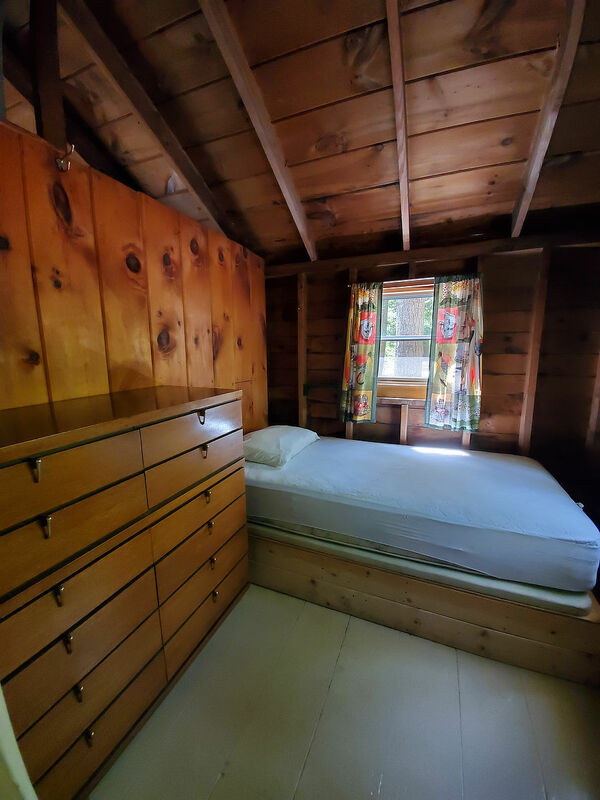 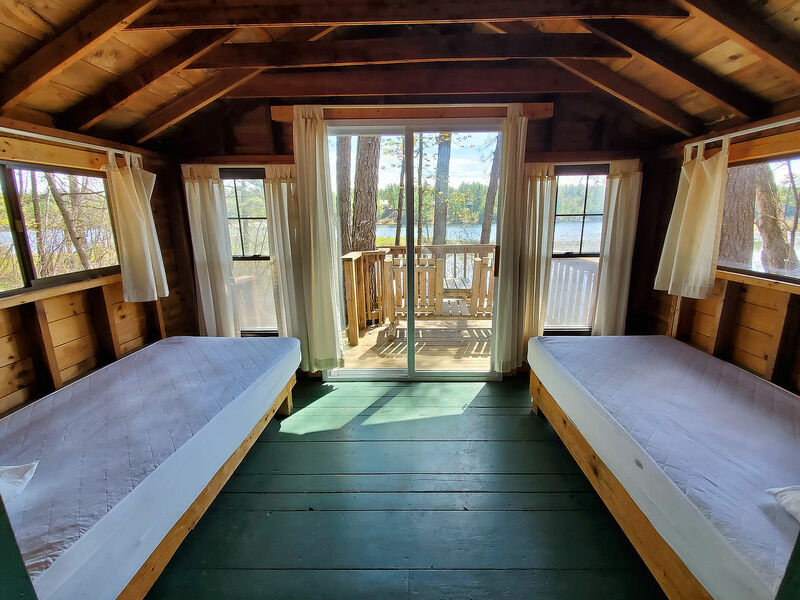 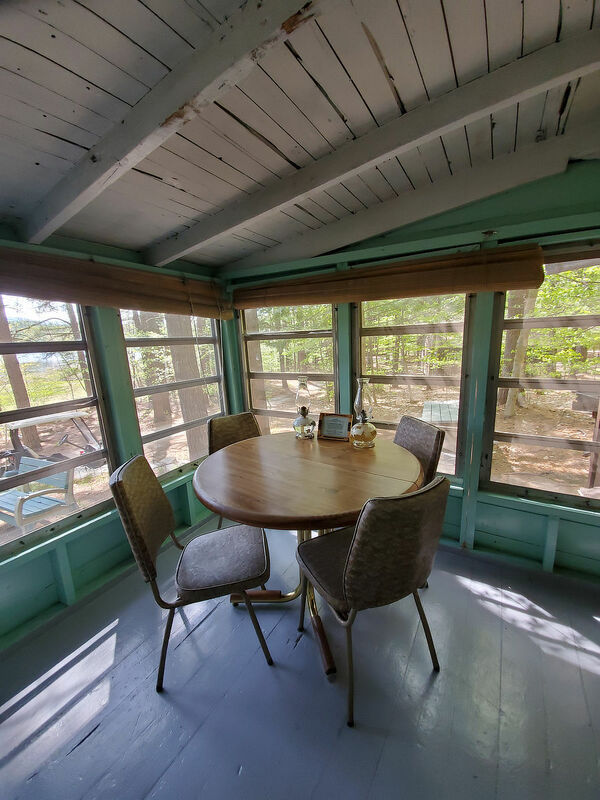 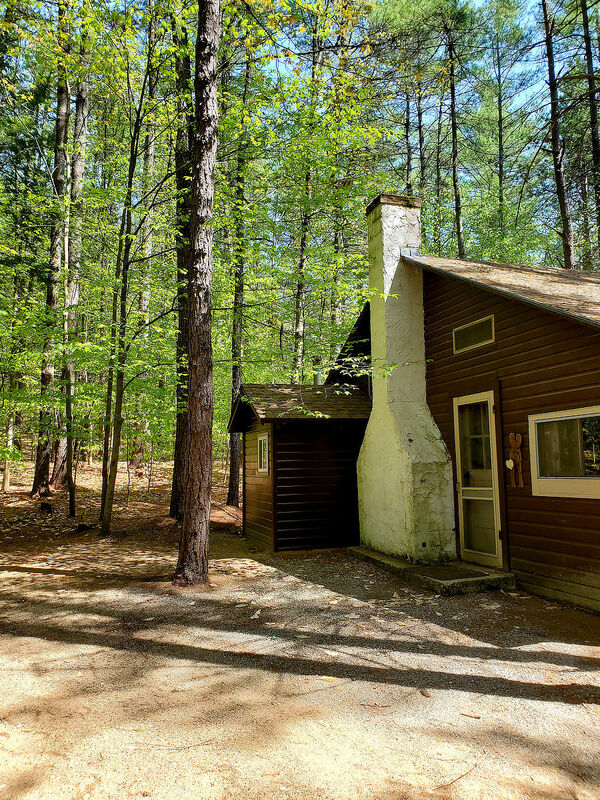 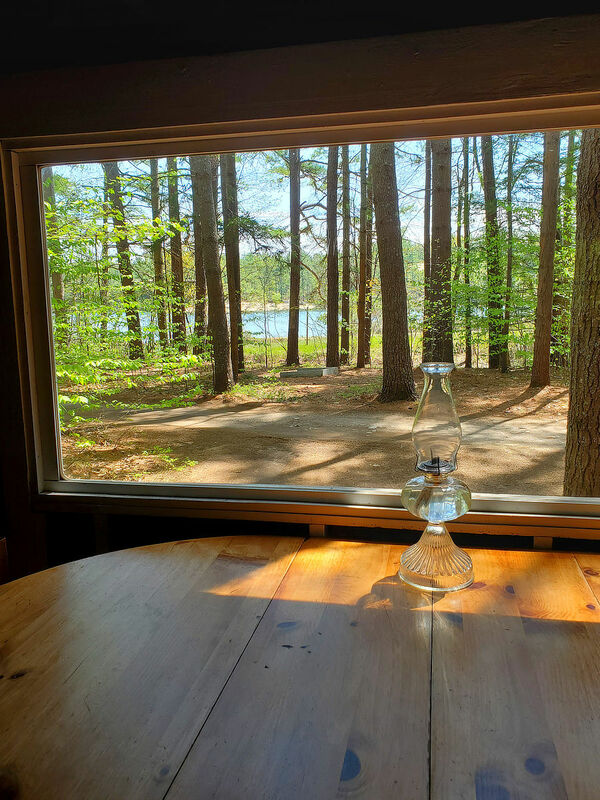 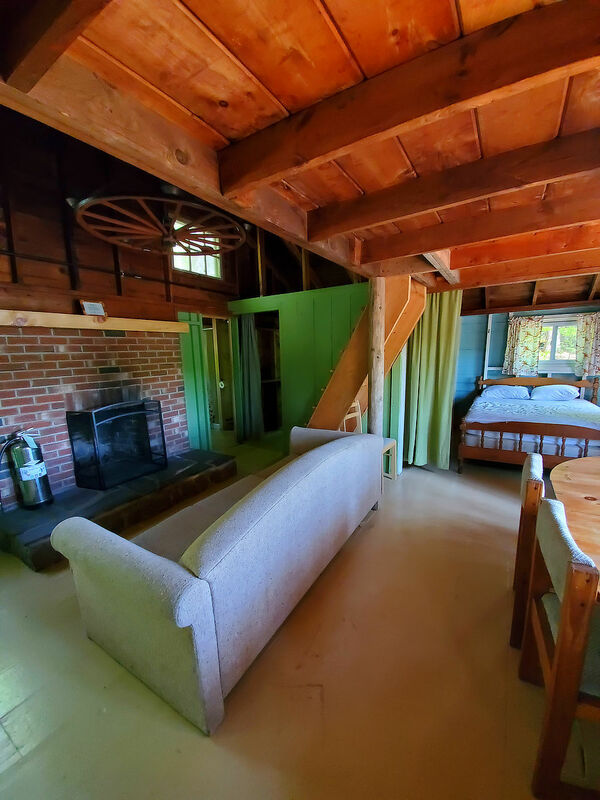 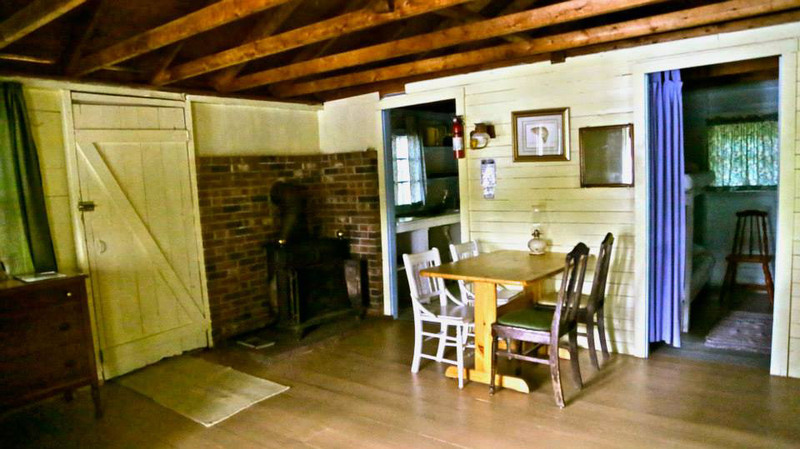 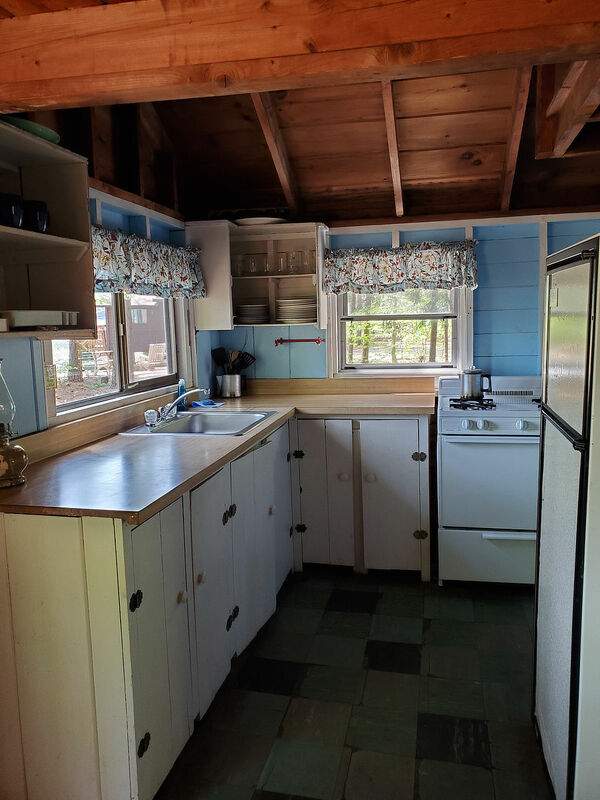 These six quiet, secluded, off-grid cabins, which are nestled in the pines along the eastern banks of Moore’s Pond and the Chocorua River, have been known as Wabanaki Lodge for as far back as the early fifties. 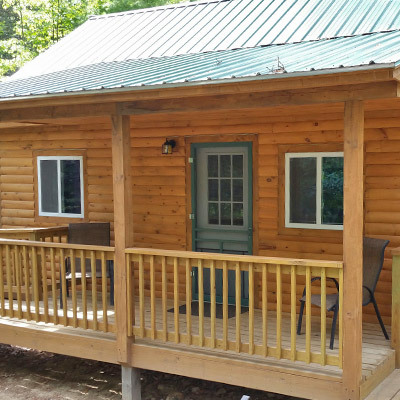 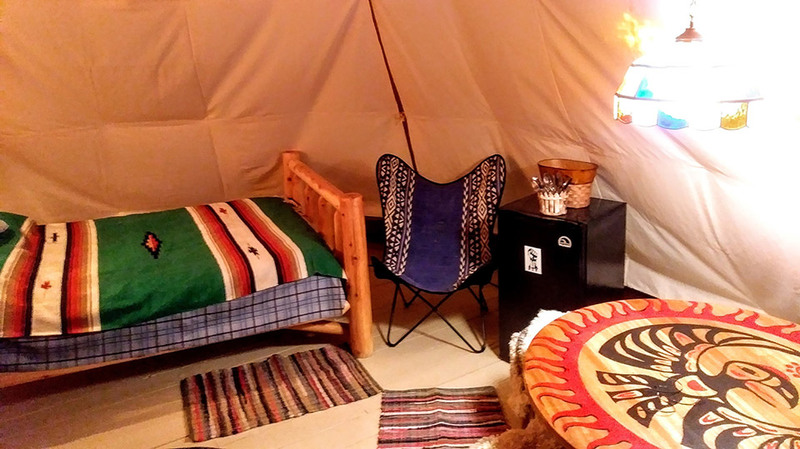 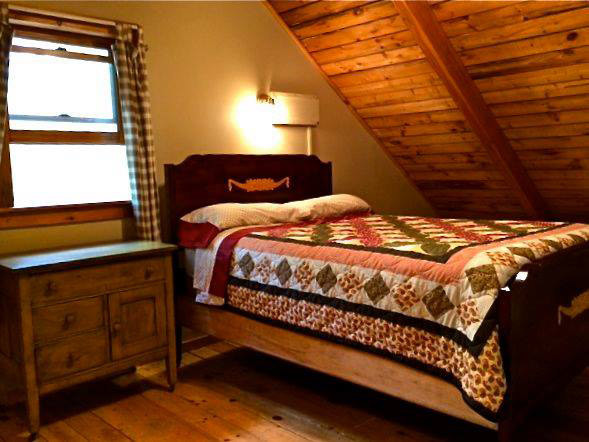 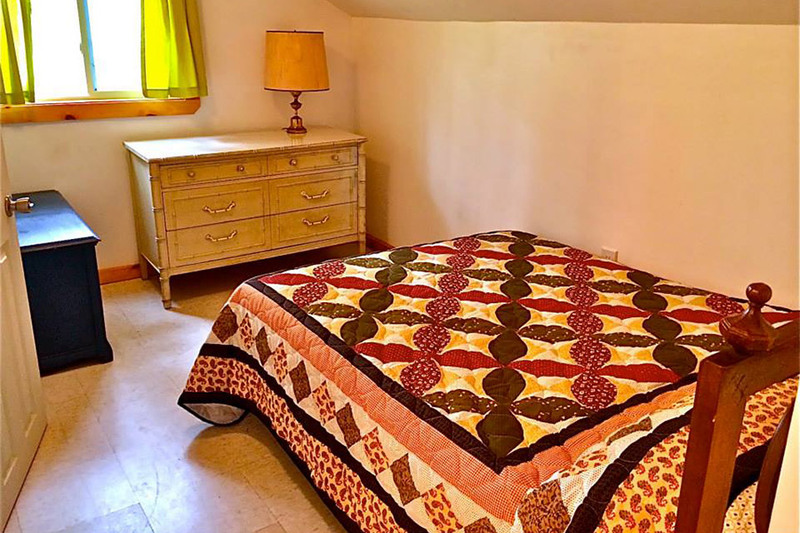 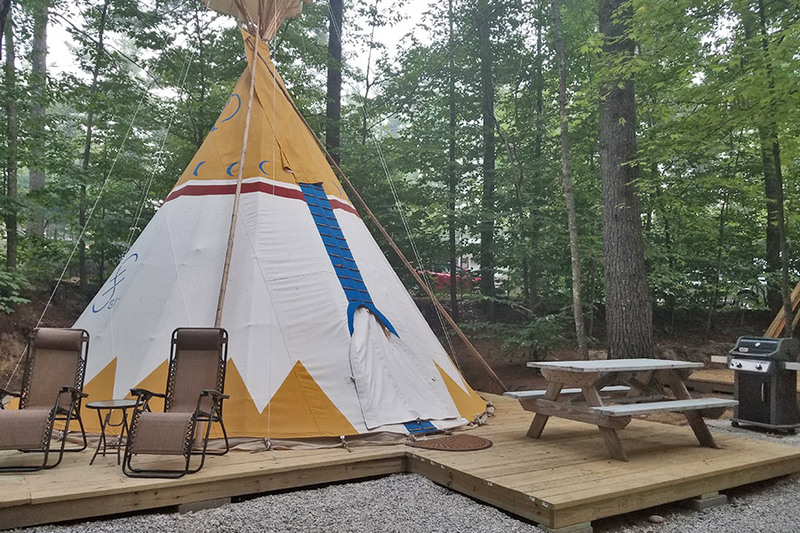 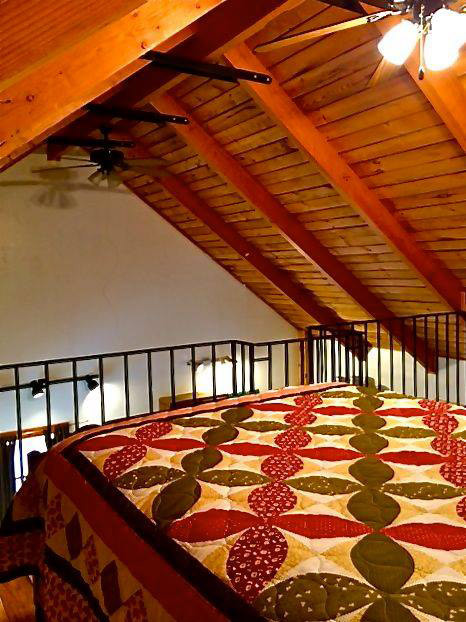 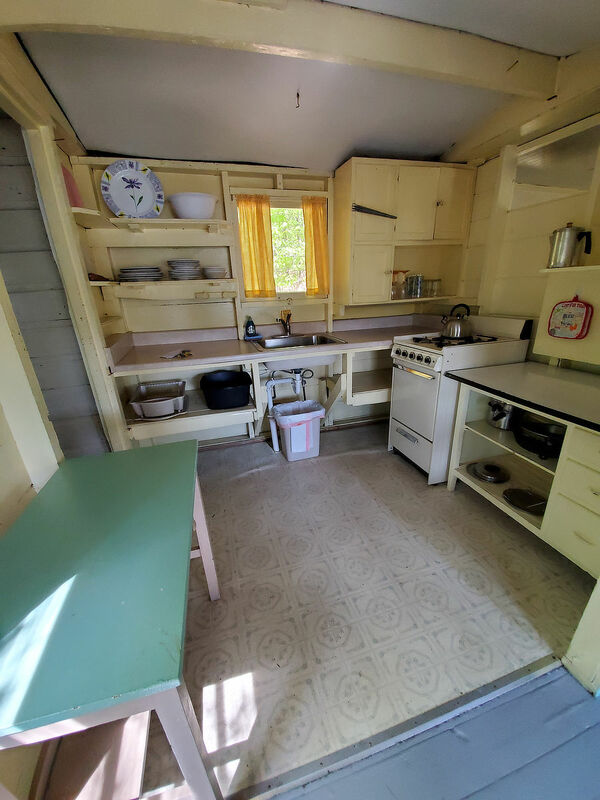 Many up-grades and renovations have been made to the cabins over the past several years but they remain as a simple family get-away which are heralded by many of the frequently returning guests as a perfect “back to nature” family vacation spot. 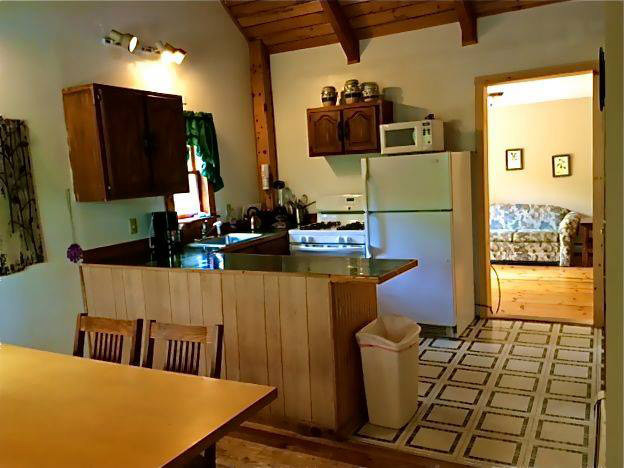 The lodge area has, in recent years been termed “the island” though not technically an island. 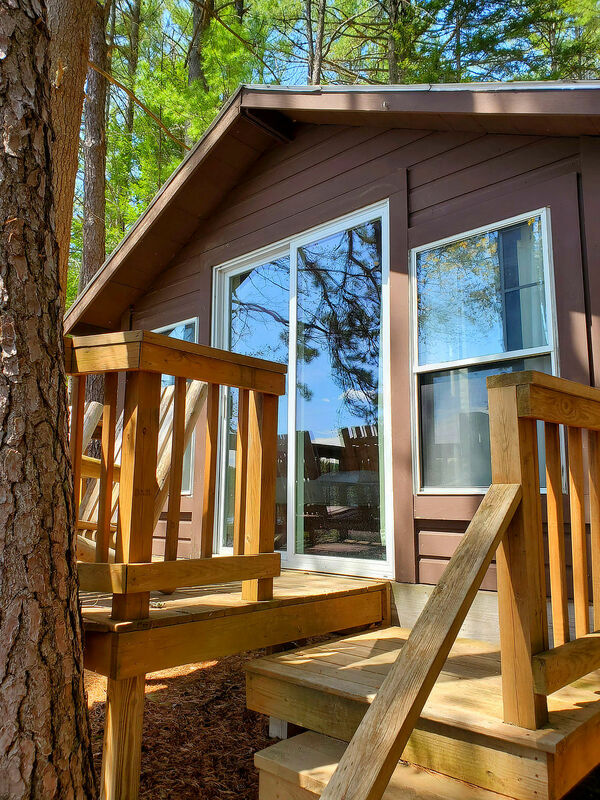 Due to its remote nature and its accessibility only by a golf cart trail and footbridge which crosses a magnificent woodland marsh, one gets the feeling of being on a remote island once having walked the quarter-mile trail from the parking area. 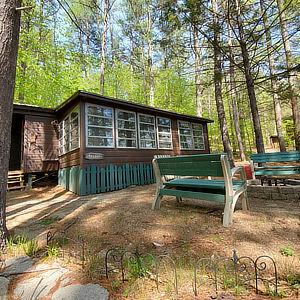 Guests and their luggage are transported by golf cart to their cabin upon arrival and from the cottage back to their vehicle upon departure. 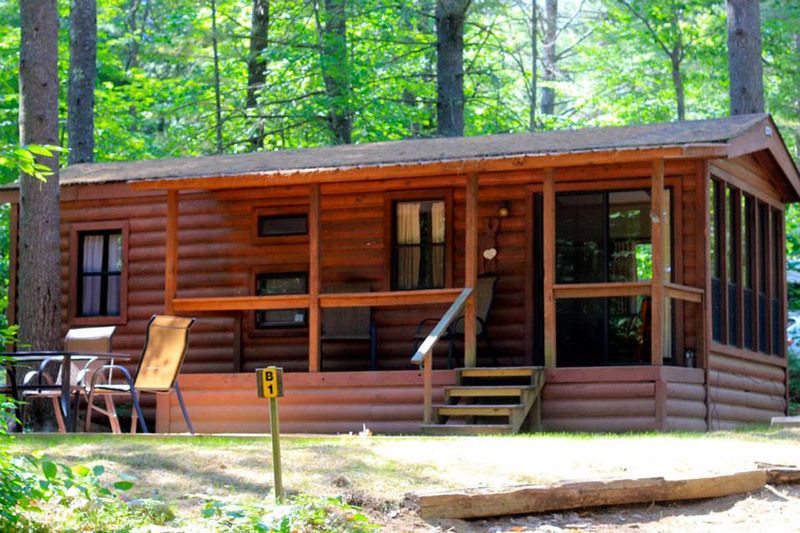 However, it is a pleasant walk back and forth to the campground where activities, the camp store and showers are available. 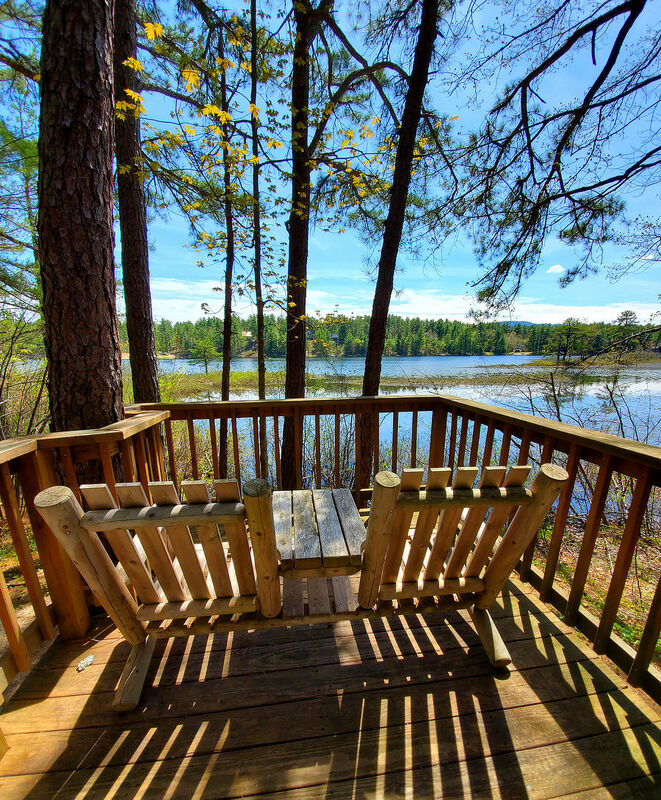 The Lodge area is also directly connected to a series of woodland nature trails which branch out for five or more miles in gentle loops for walking, biking or running. 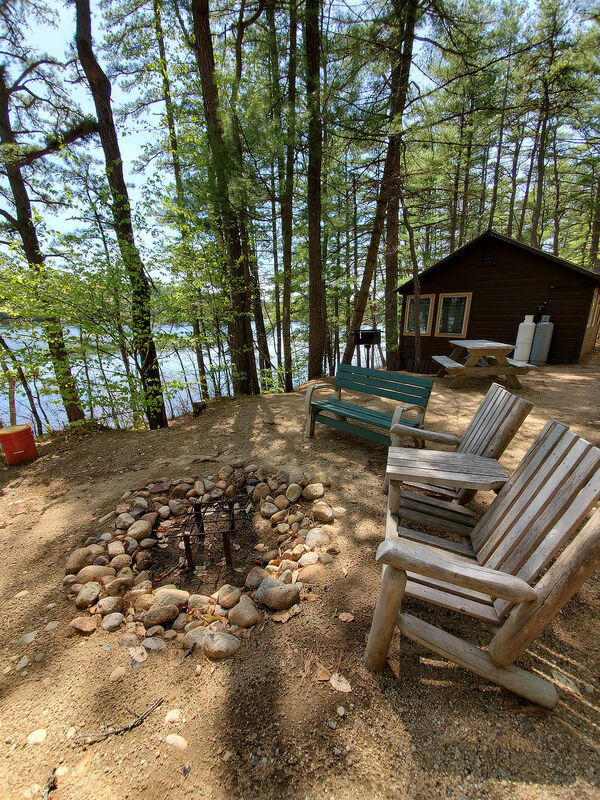 In addition the shore line of the Lodge area harbors a beautiful, private, gently sloping, sandy beach, arguably “the best beach on the lake” as well as a large dock and a floating raft; a favorite of swimmers. 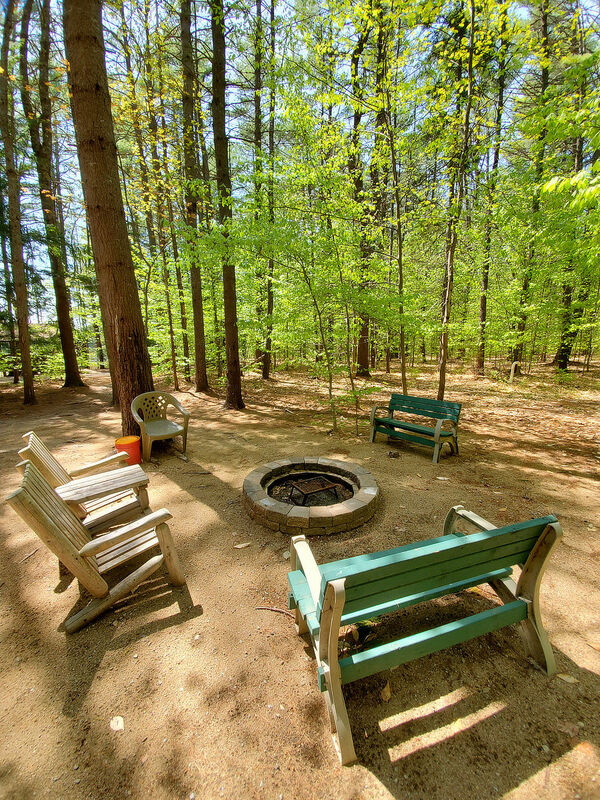 On shore is a recreation area with Ping Pong, volleyball, tetherball, swings, monkey bars and a community fire ring. 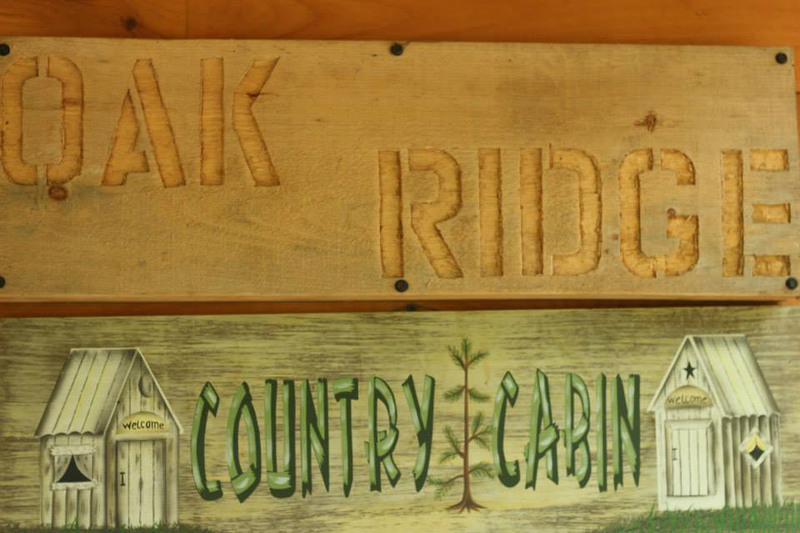 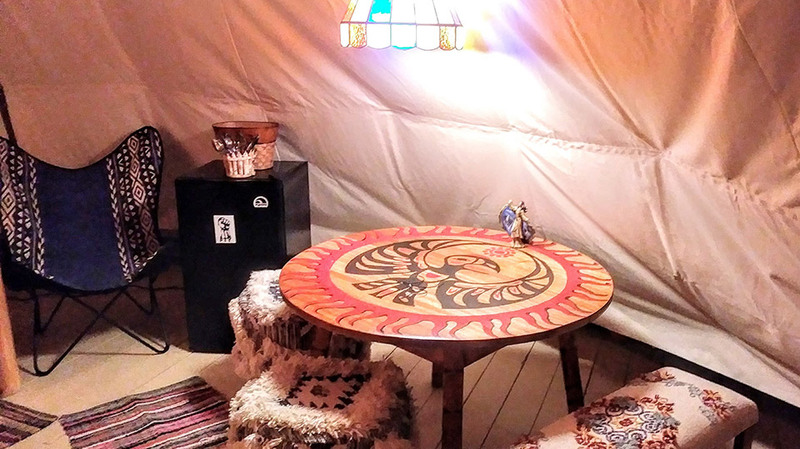 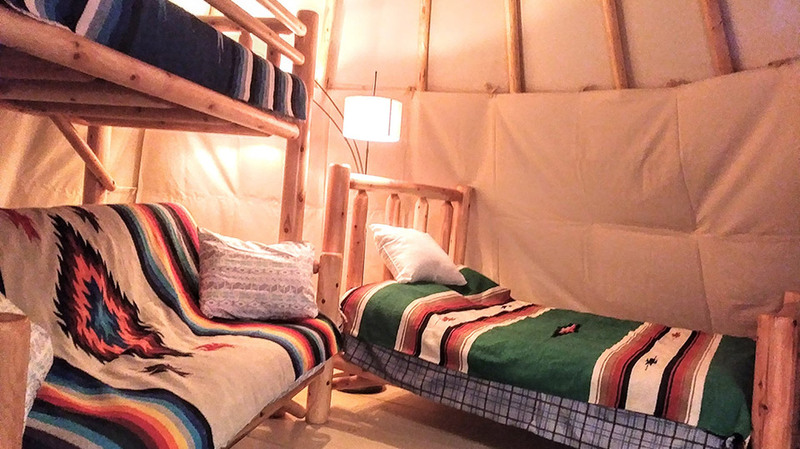 Each cabin has it’s own Native American name and camp charm. 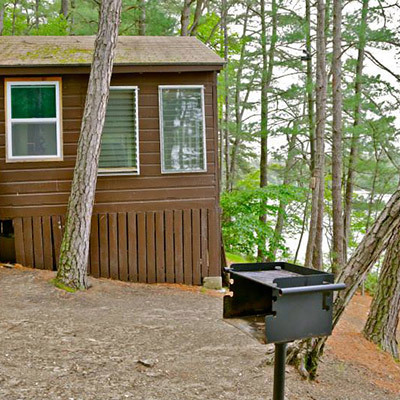 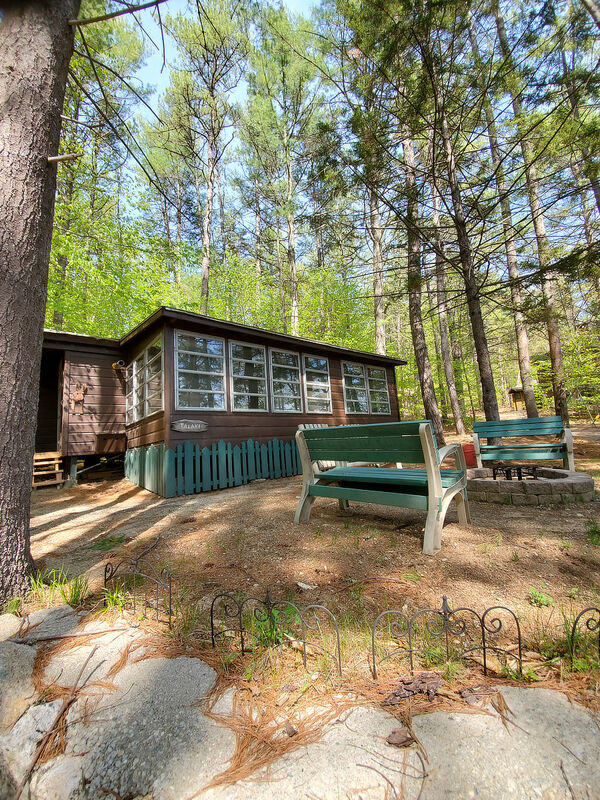 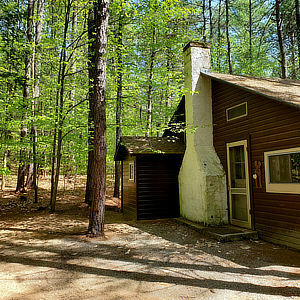 All Wabanaki Lodge cabins include: cabin kitchens with dishes, silverware, utensils, pots & pans; propane stoves, lights and refrigerators; beds, without linen, (most guests bring sleep-ing bags though if needed linen can be supplied for a modest charge); cold running water, a heater or indoor fireplace, as well as an out door fireplace and camp chairs. 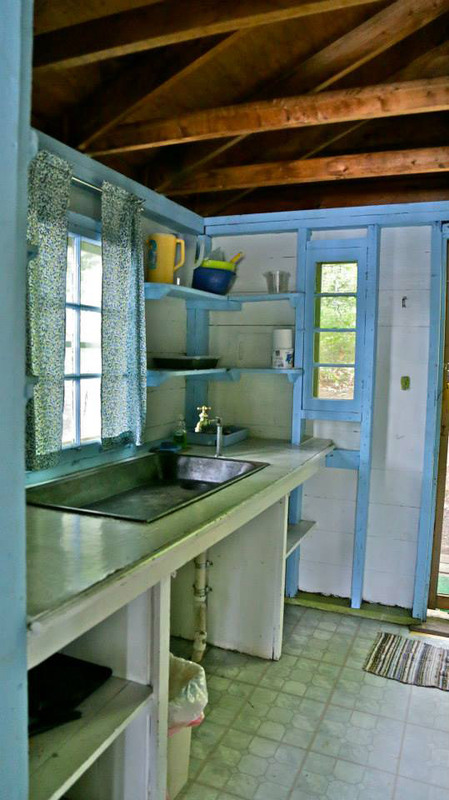 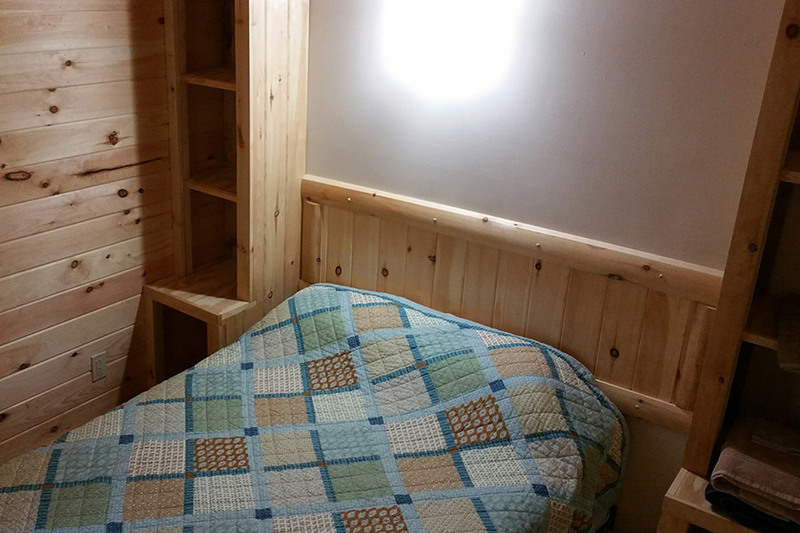 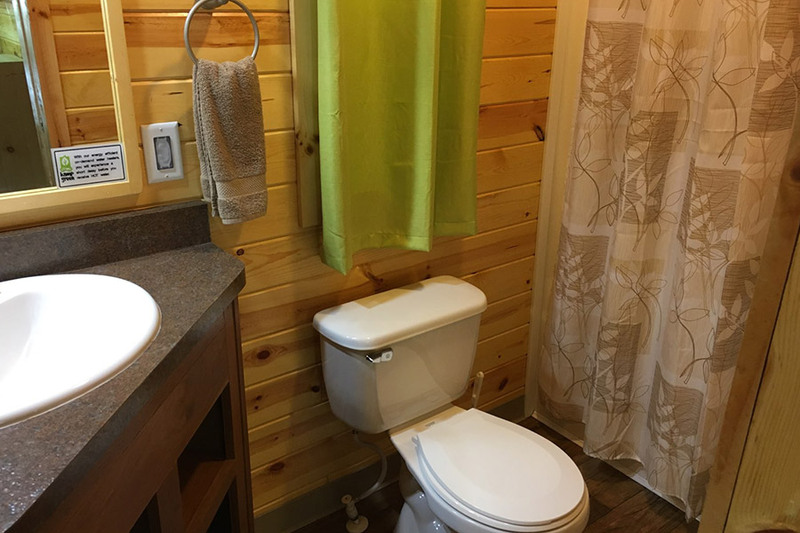 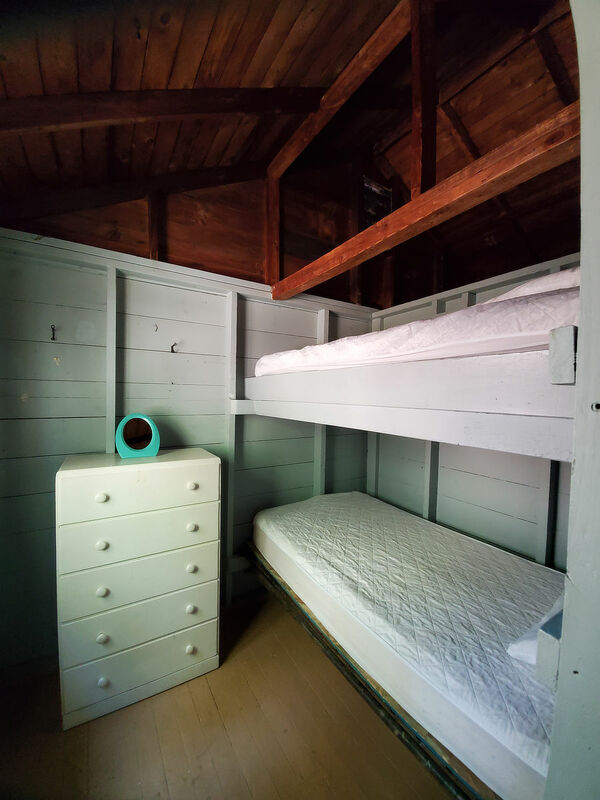 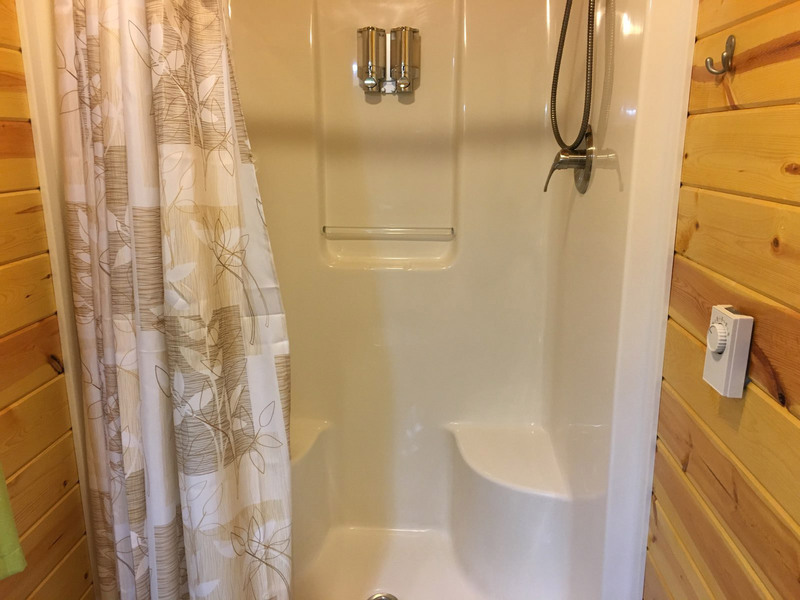 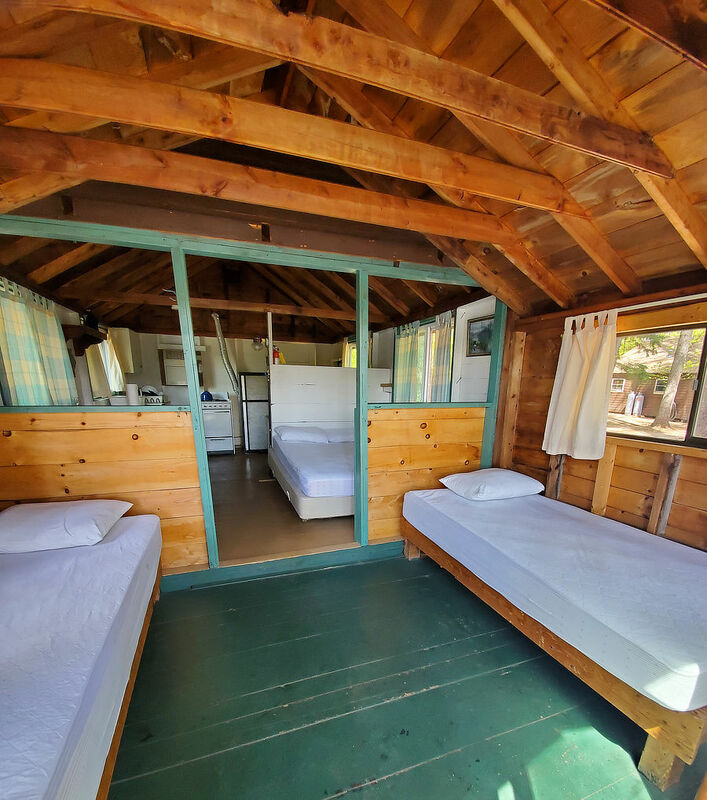 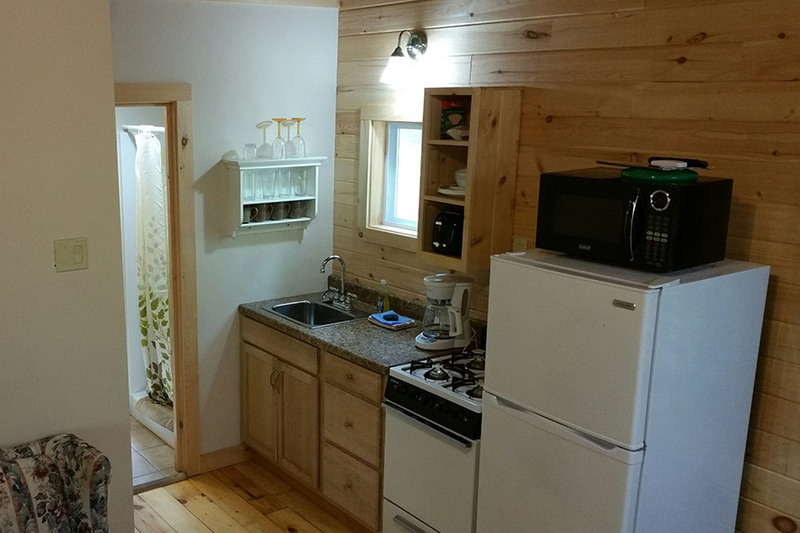 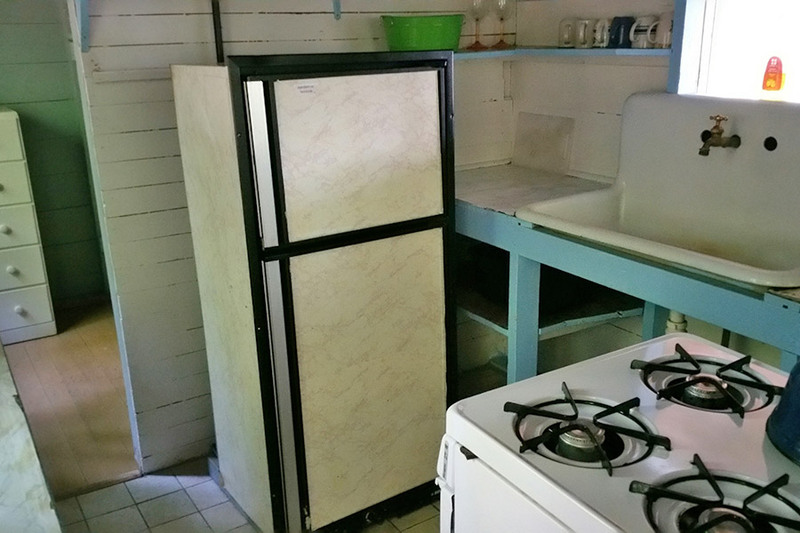 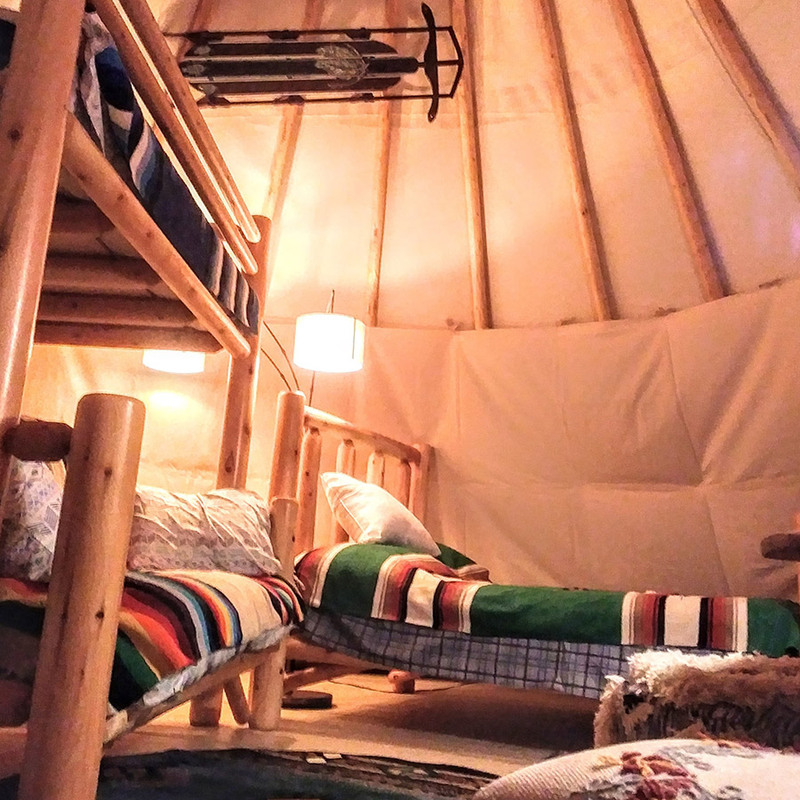 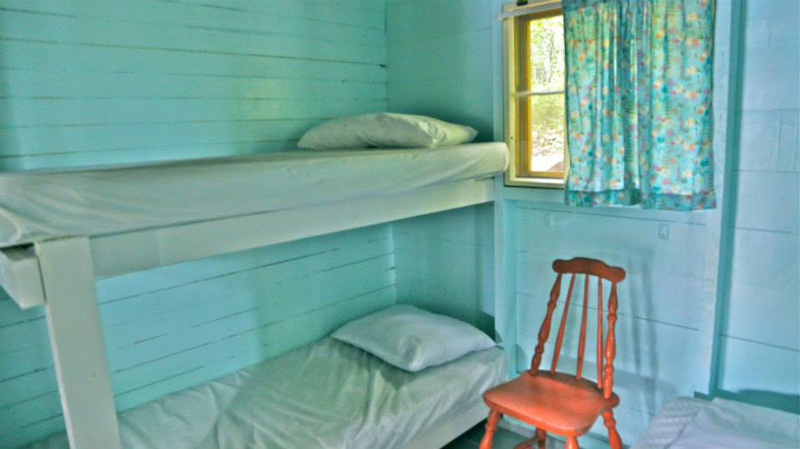 Three of the cabins have bathrooms, hot water and showers, while the other three have simple private “out–houses” and have access to the campground bath houses for showers. 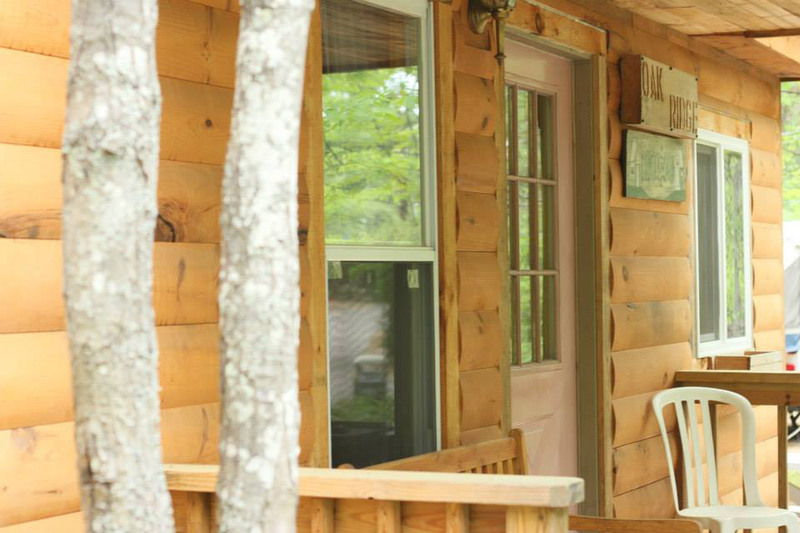 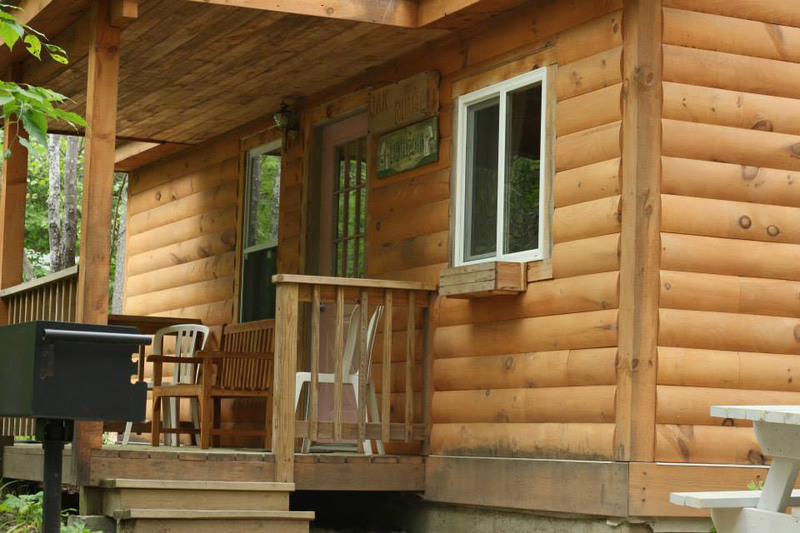 Pets are welcome in all Wabanaki Lodge cabins. 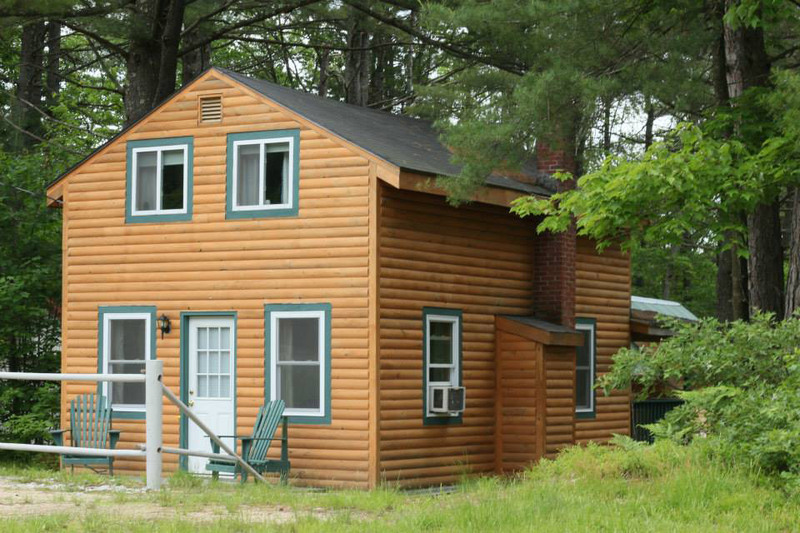 If you need to cancel or change your reservation, please call 603-323-8536 before the deadlines listed below to receive your deposit refund, minus a $10 cancellation fee. 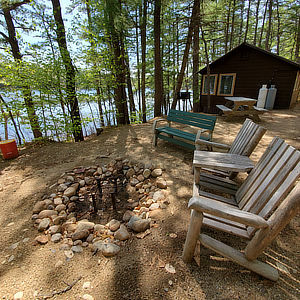 Text and email notifications of cancellations will not be accepted. 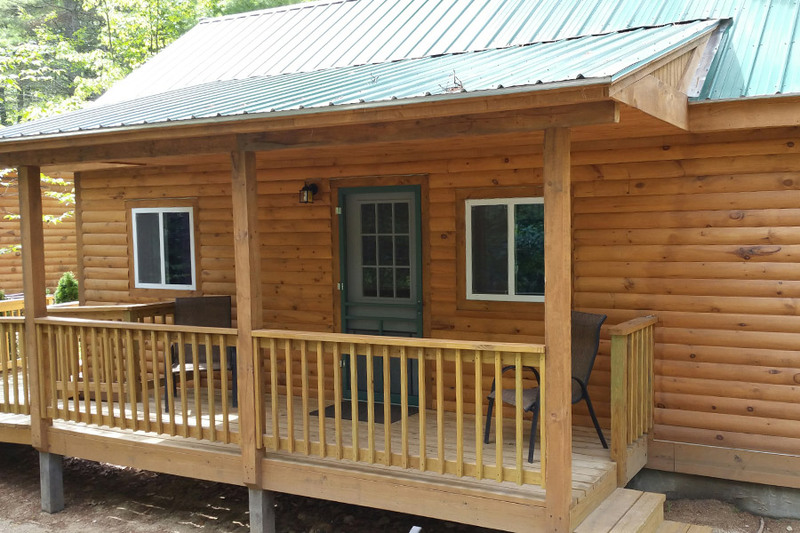 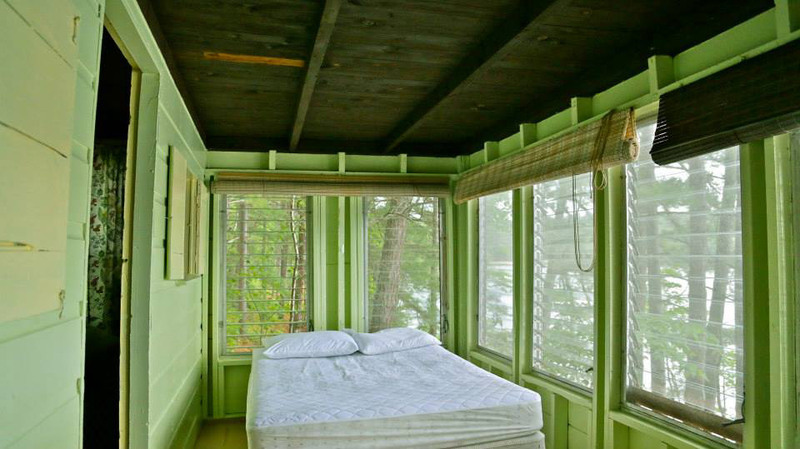 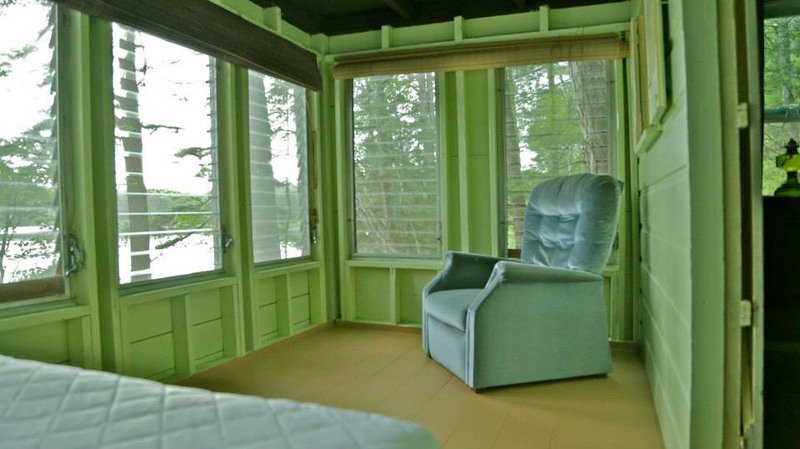 Cabins & Pop-Up Rentals: Require a 14 day cancellation notice. 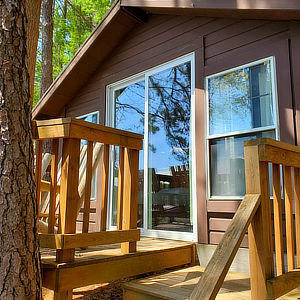 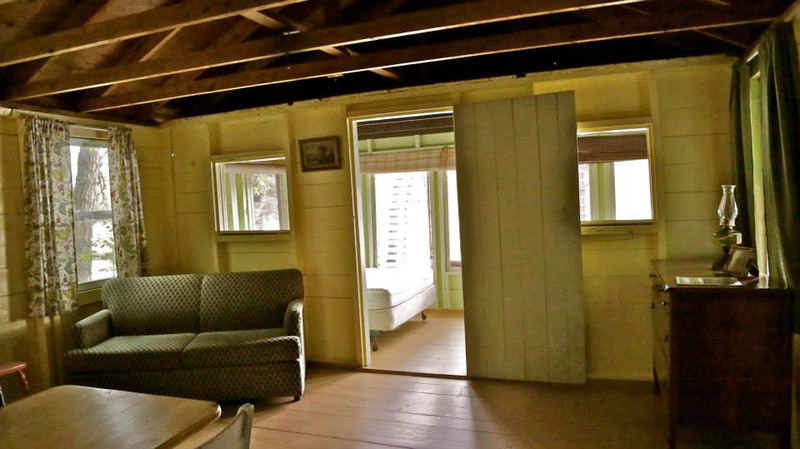 After 14 days, cabin rental cancellations will forfeit their deposit.